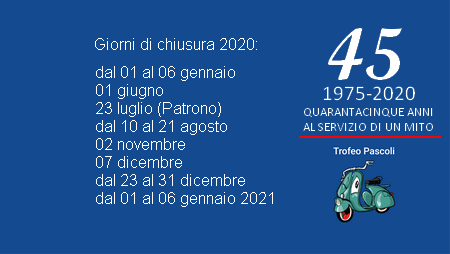 VESPA : 125 . 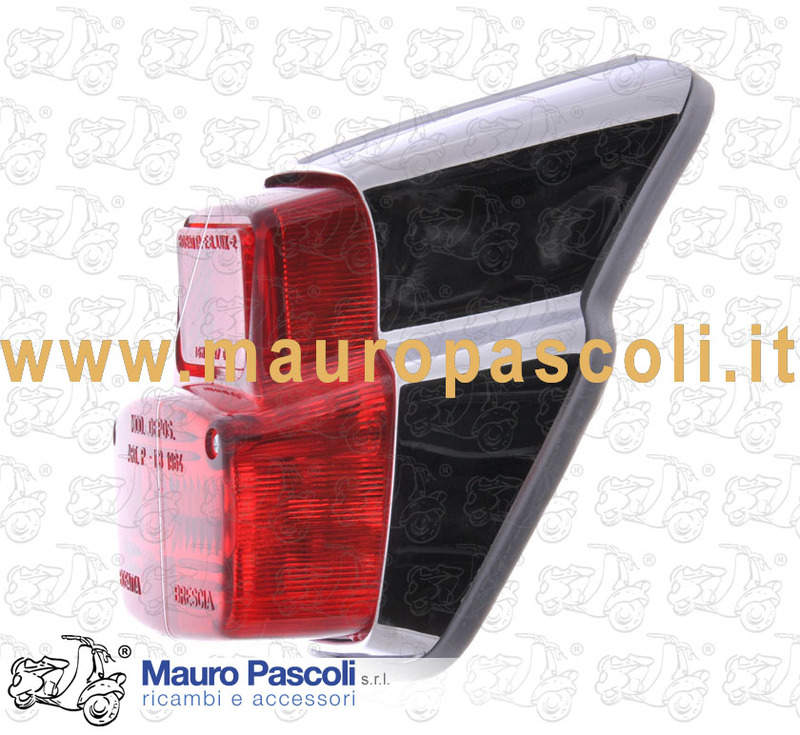 V11T - V12T esportazione - V13T - V14T - V15T. 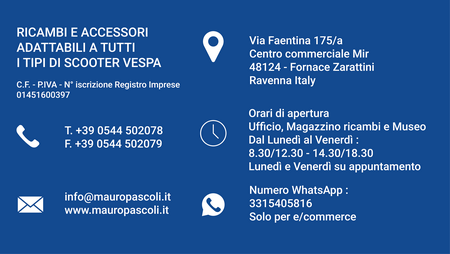 VESPA : V11T - V12T esportazione - V13T - V14T - V15T. 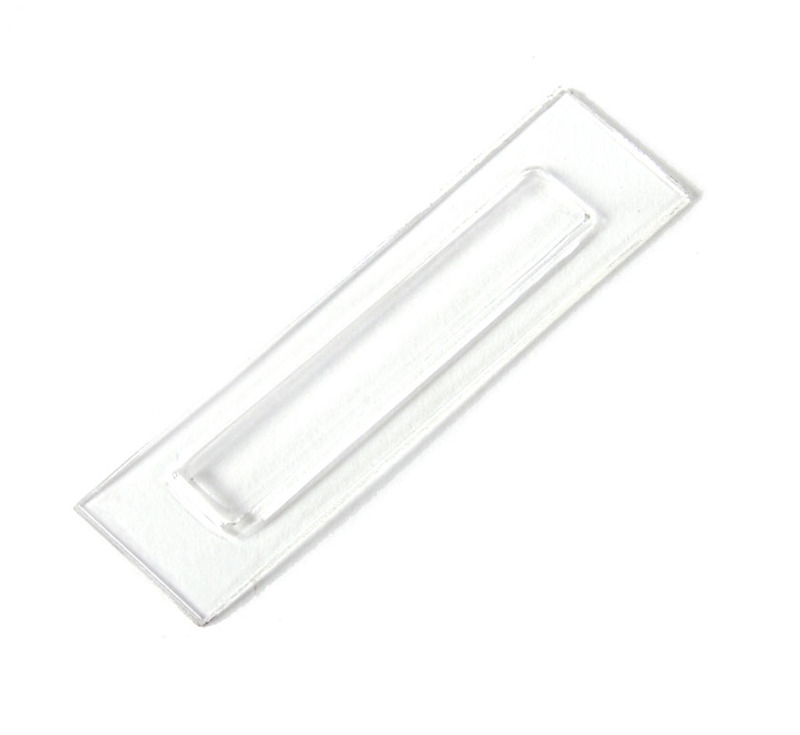 APE : 150 .AB1T - AB2T - AB3T - AB4T. 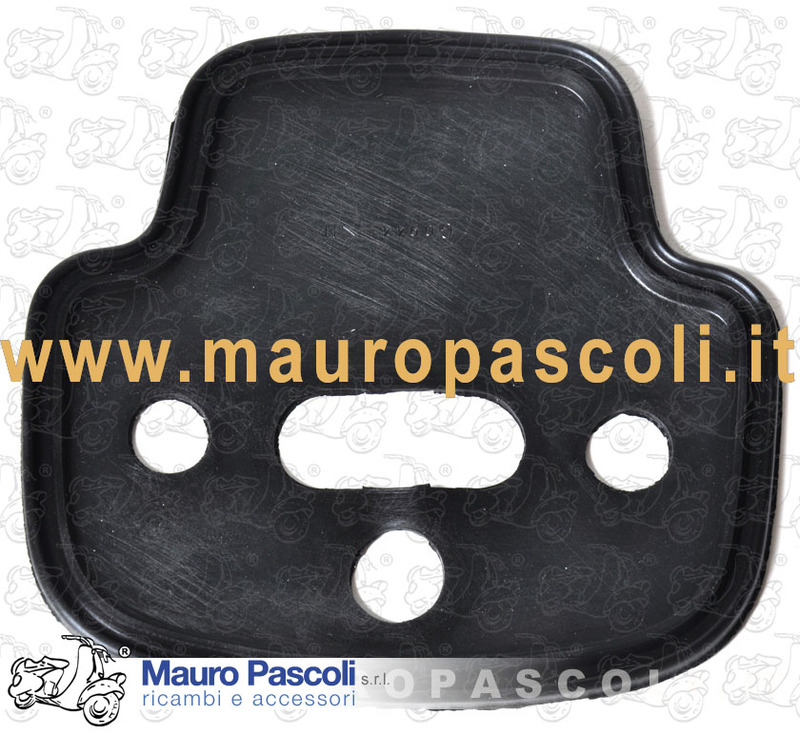 VESPA : V11T>15T - APE : A1T>15T - AB1T>4T. 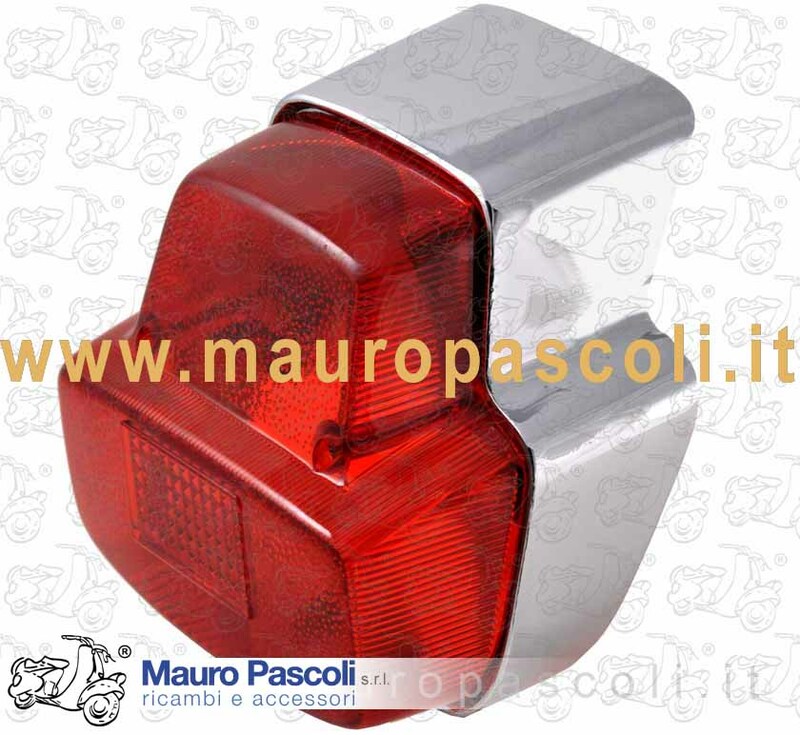 VESPA :125 .1953 . 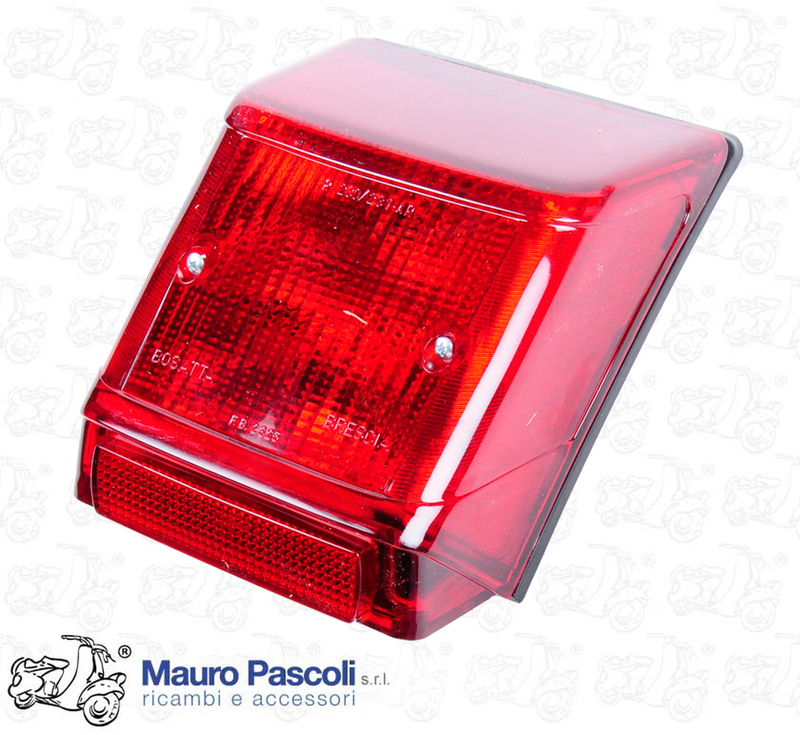 VU1T utilitaria - VM1T . 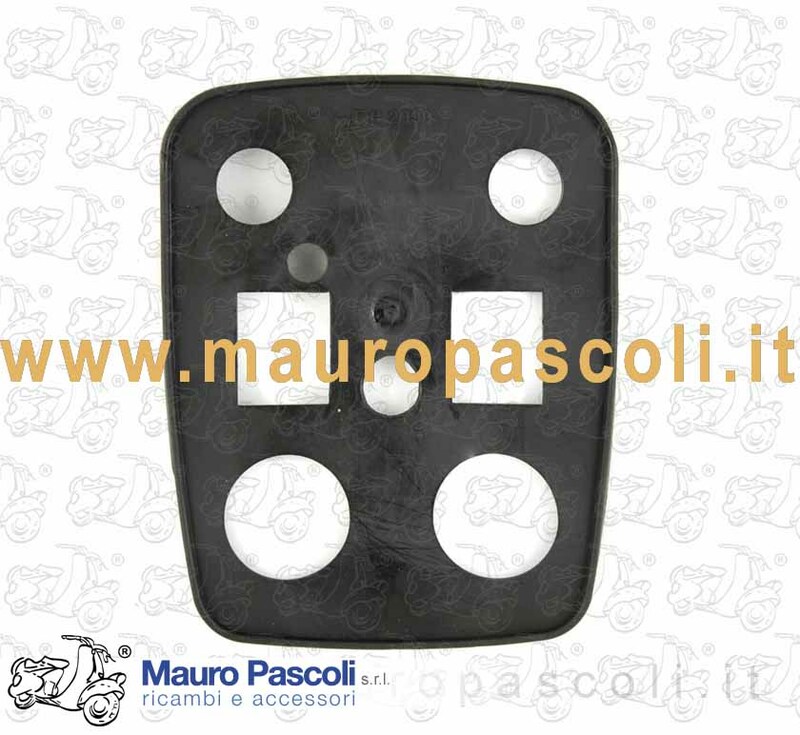 VESPA : VM2T - VN1T>2T - VNA1T>2T - VL1T>3T - VB1T - VS1T>3T. 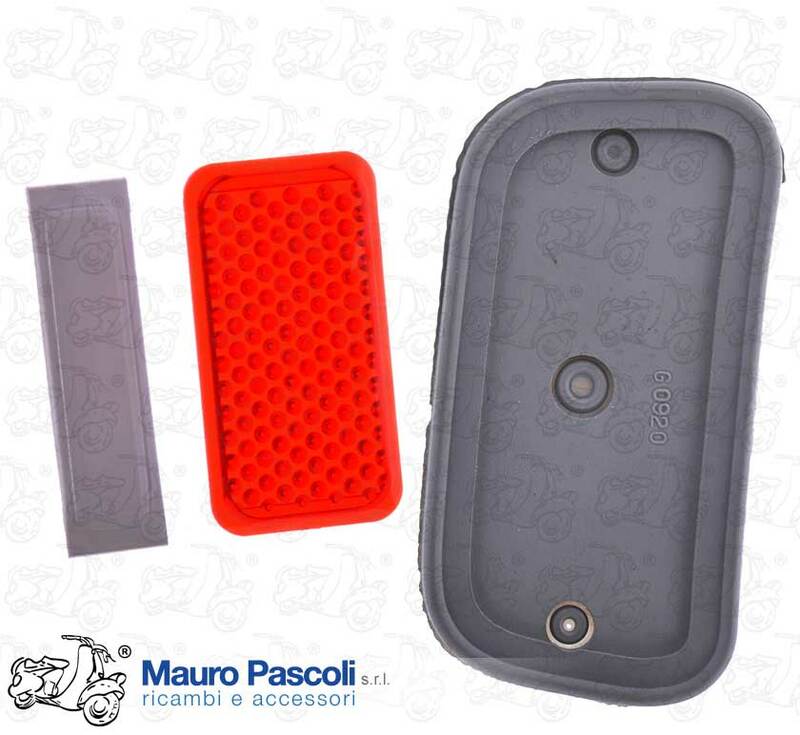 VESPA : V1T>15T - APE : A1T>15T - AB1T>4T. 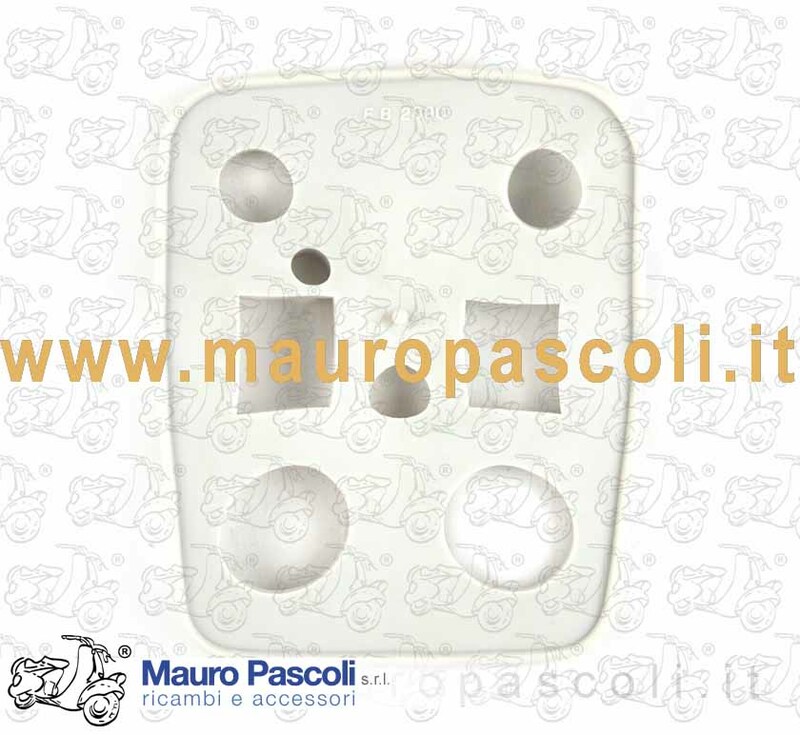 VESPA : VM2T - VN1T>2T - VNA1T - VNA2T >107007 - VL1T>3T - VB1T - VS1T>3T. 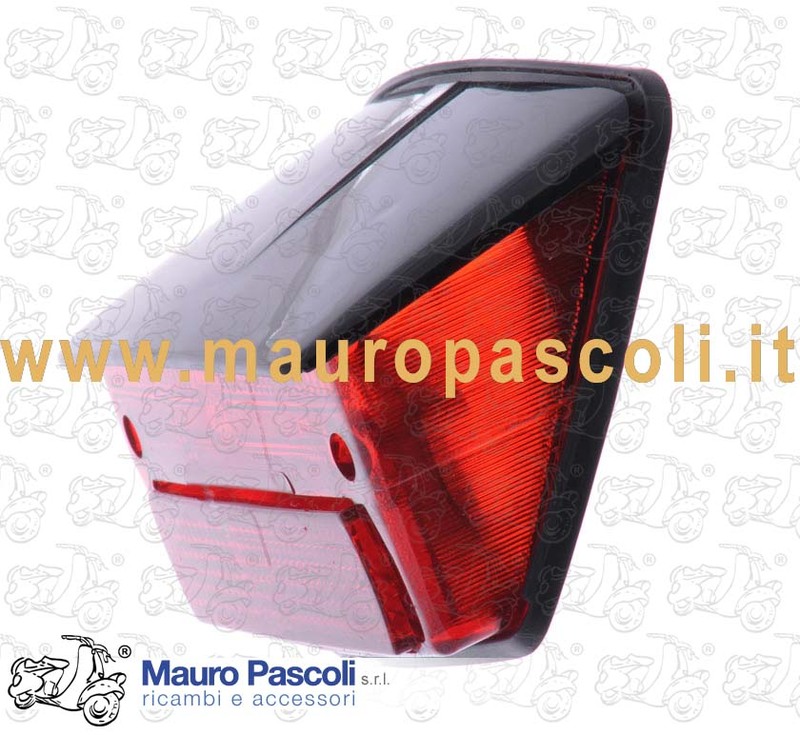 VESPA : 125 .V30T - V31T - V32T - V33T . 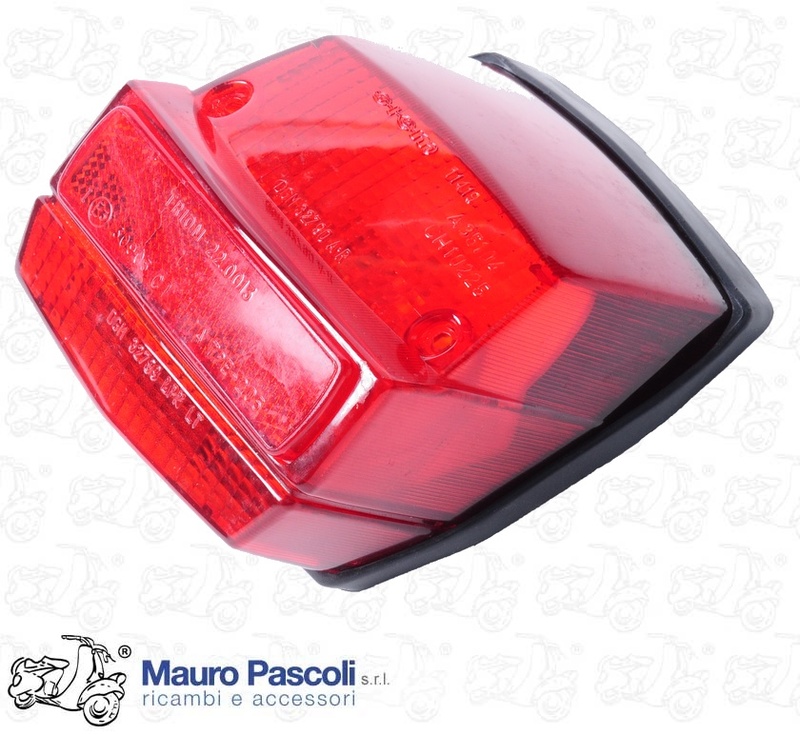 VESPA : VU1T - VM1T. 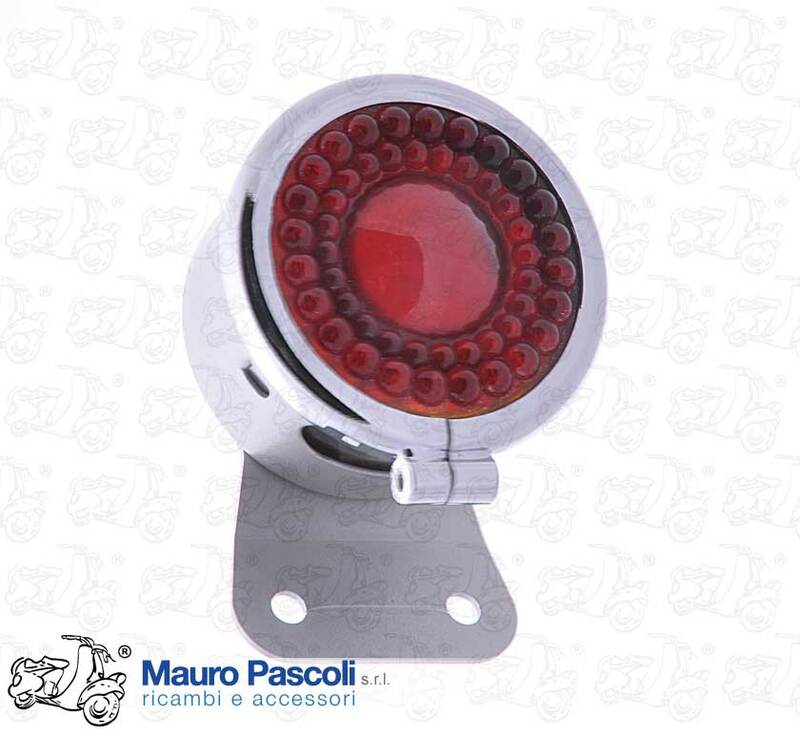 TAIL WITH COMPLETE CHANGE STOP, MAKE SIEM. 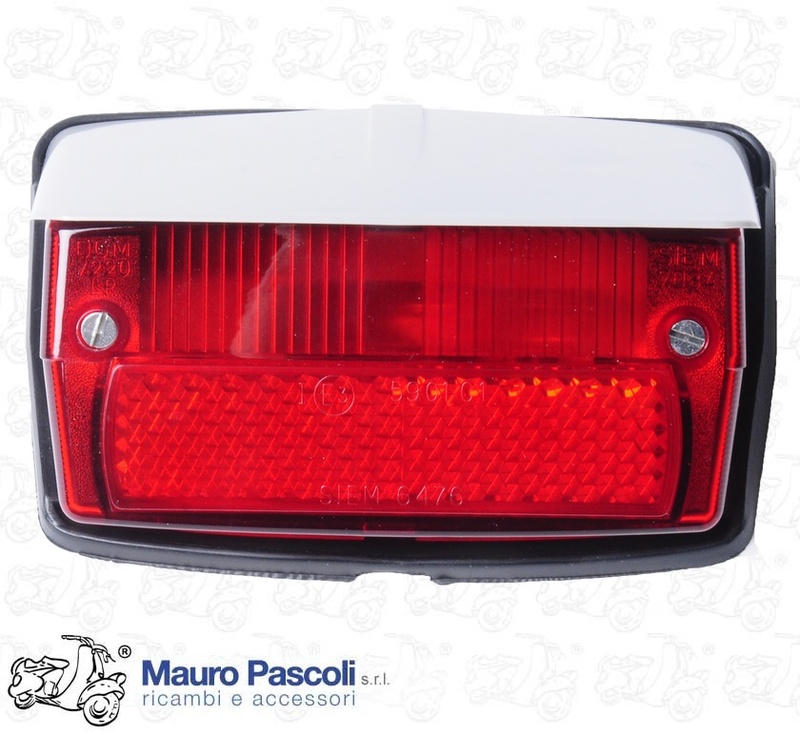 VESPA : V30T>33T - VU1T - VM1T>2T - VN1T>2T - VNA1T>2T - VNB1T>6T - VNC1T - VL1T>3T - VGL1T - VGLA1T - VGLB1T - VB1T - VBA1T - VBB1T>2T - VS1T>5T - VSB1T. 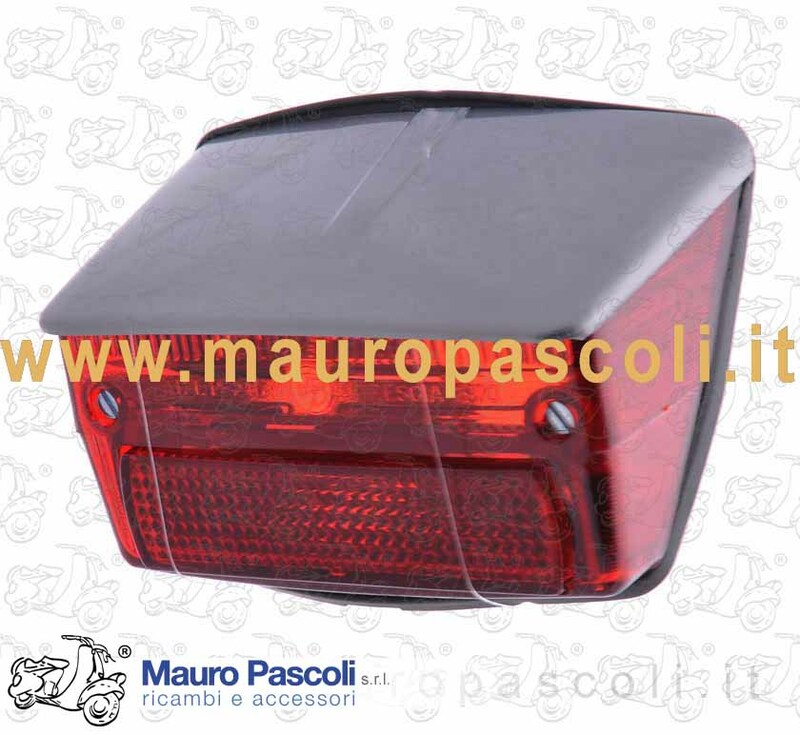 VESPA 50 SPECIAL V5B1T > 2T > 3T. 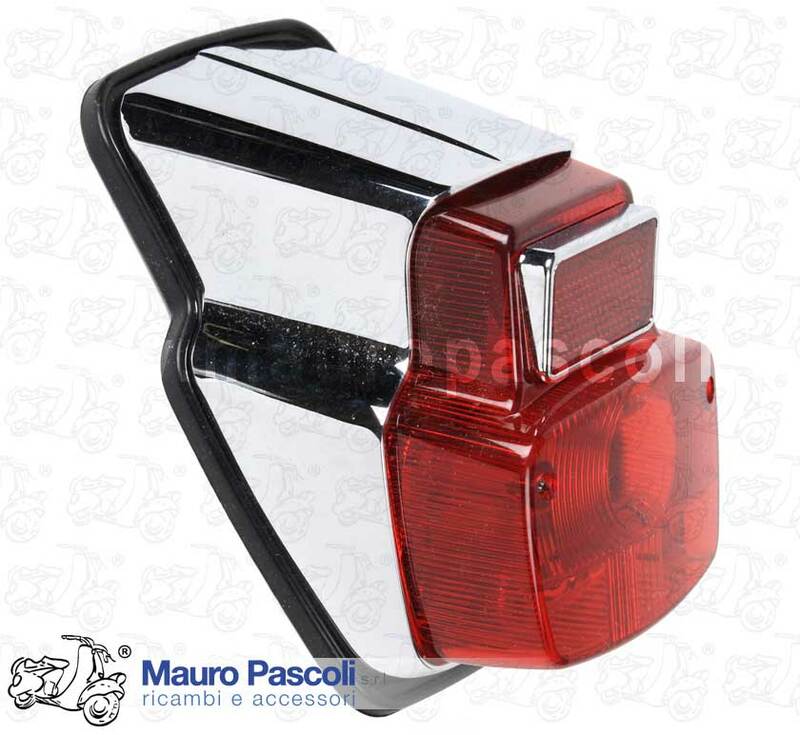 VESPA : 50 .V5SS1T - 90 . 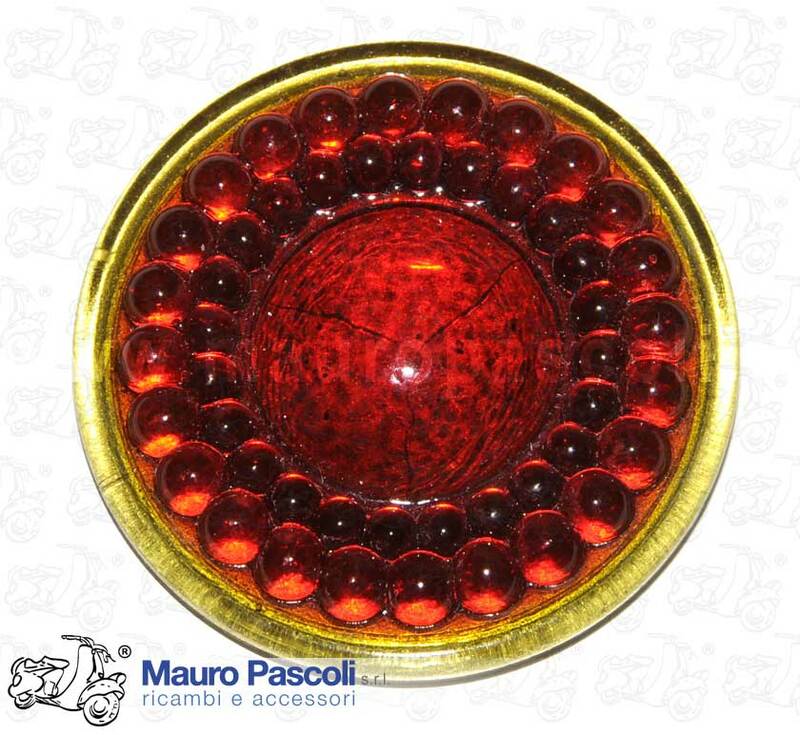 V9SS1T. 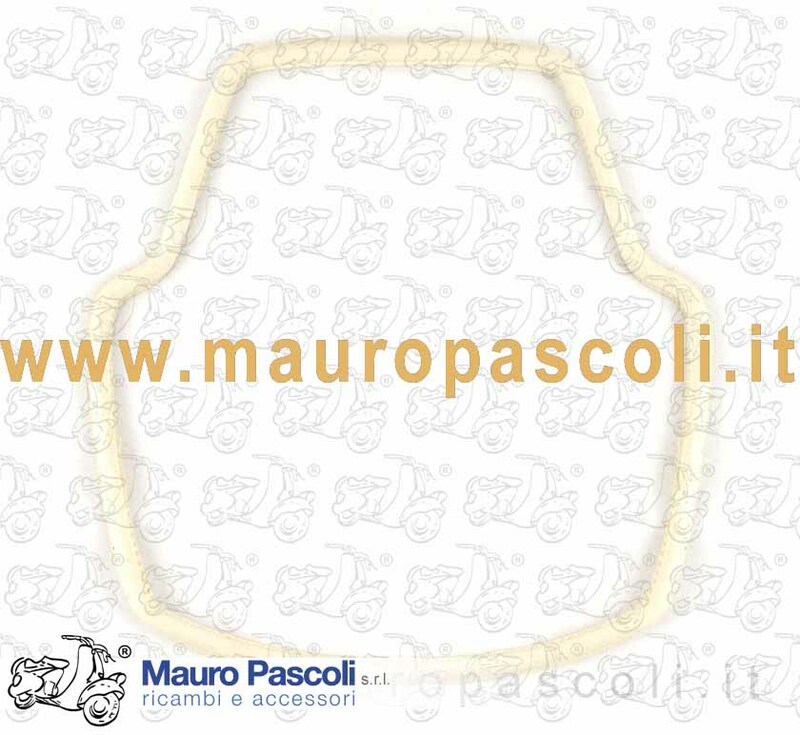 VESPA : 50 - V5SS1T - 90 - V9A1T >141543 - V9SS1T - 125 - VMA1T - VMA2T >140161 . 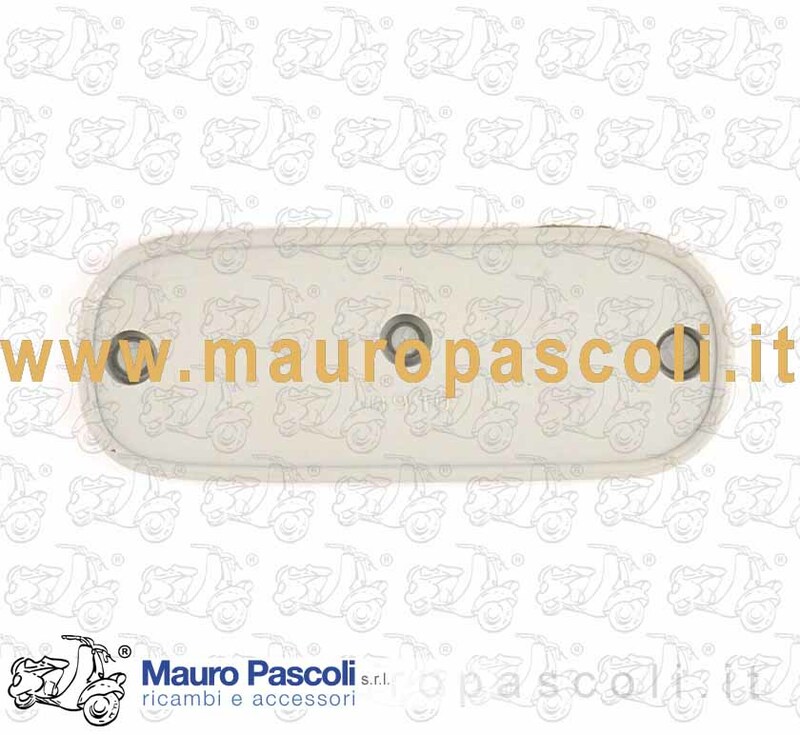 VESPA : VNB3T>5T - VBA1T 110486> - VBB1T>2T - VS5T 87590> - VSB1T. 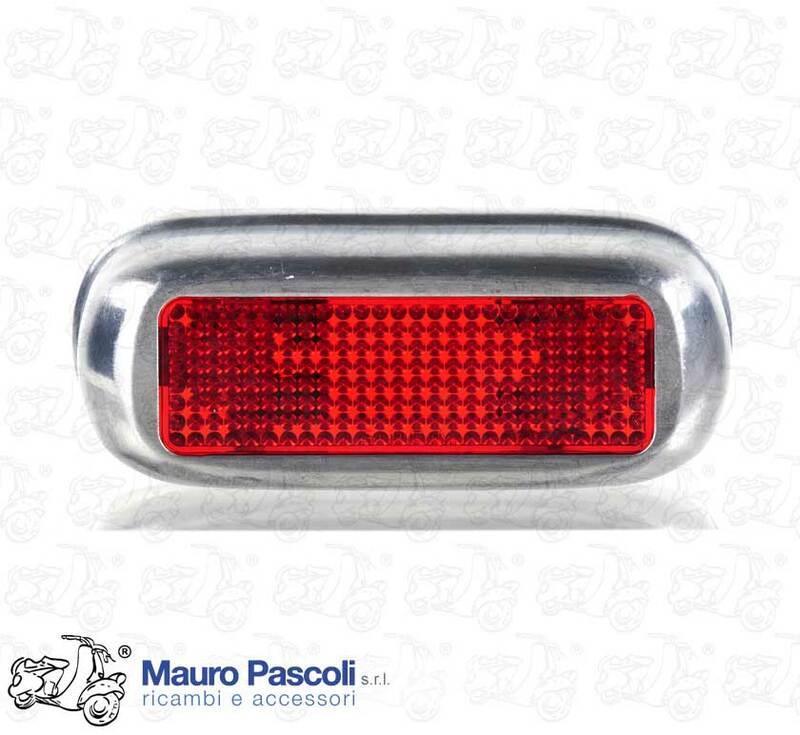 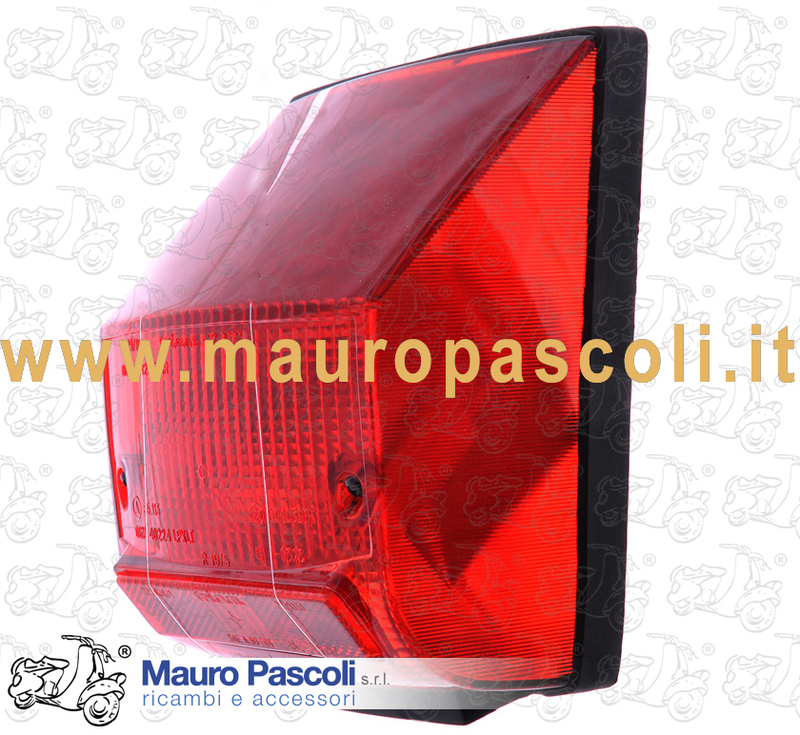 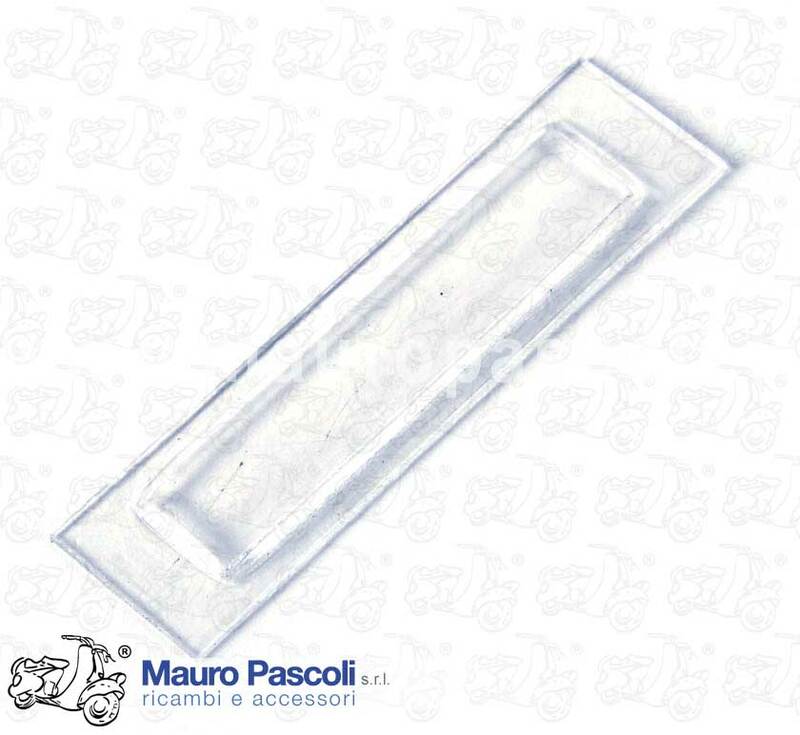 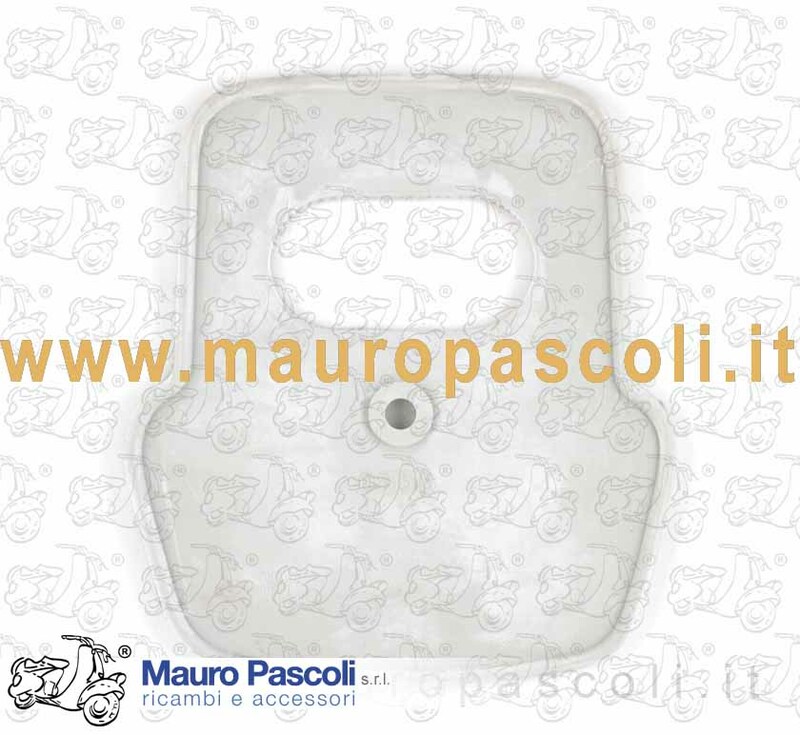 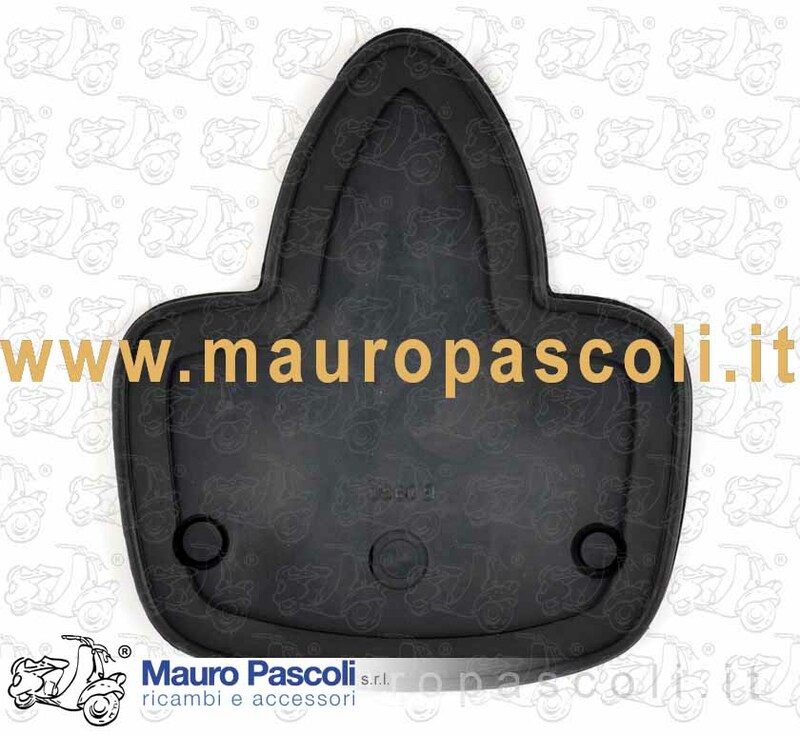 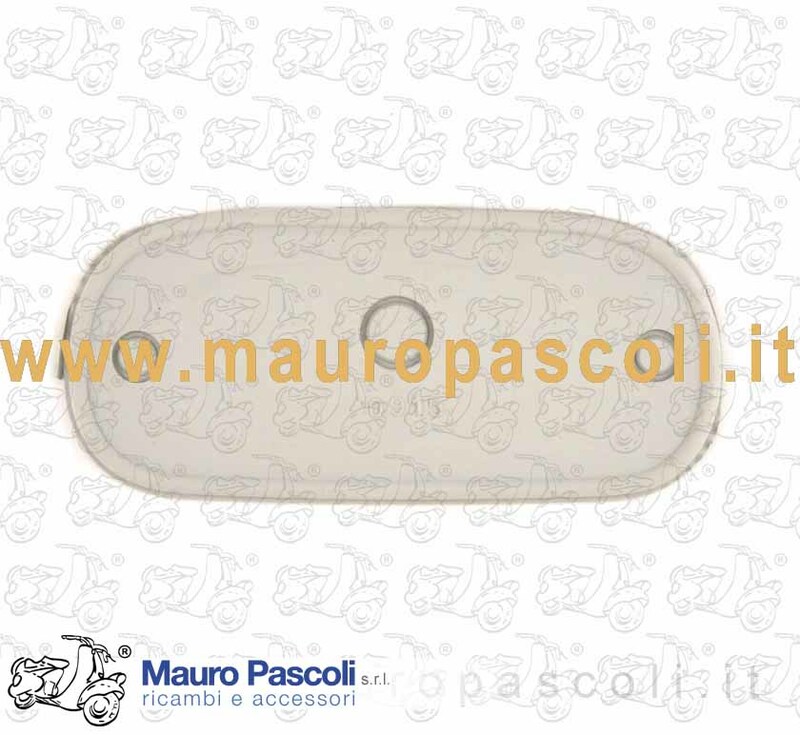 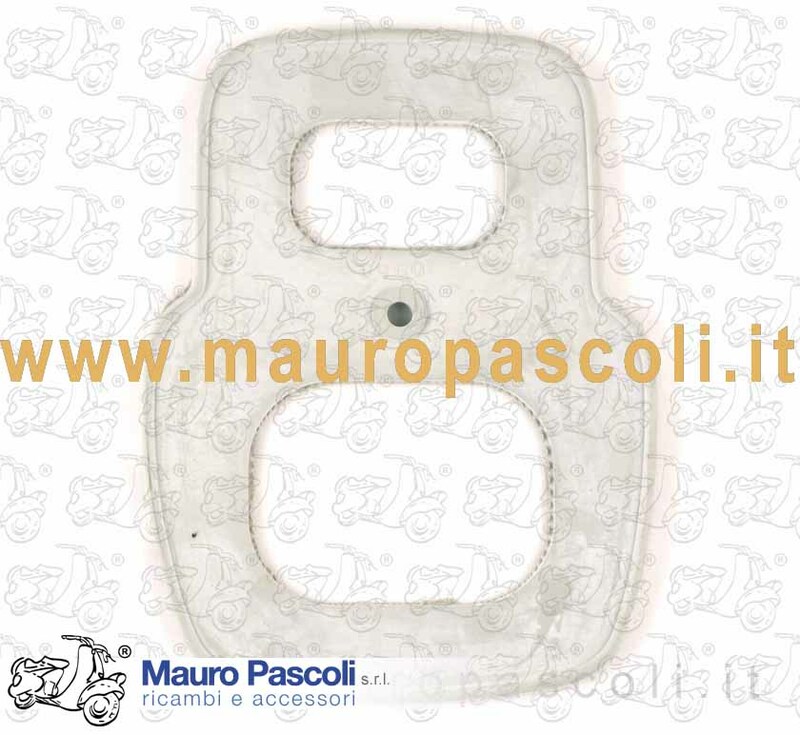 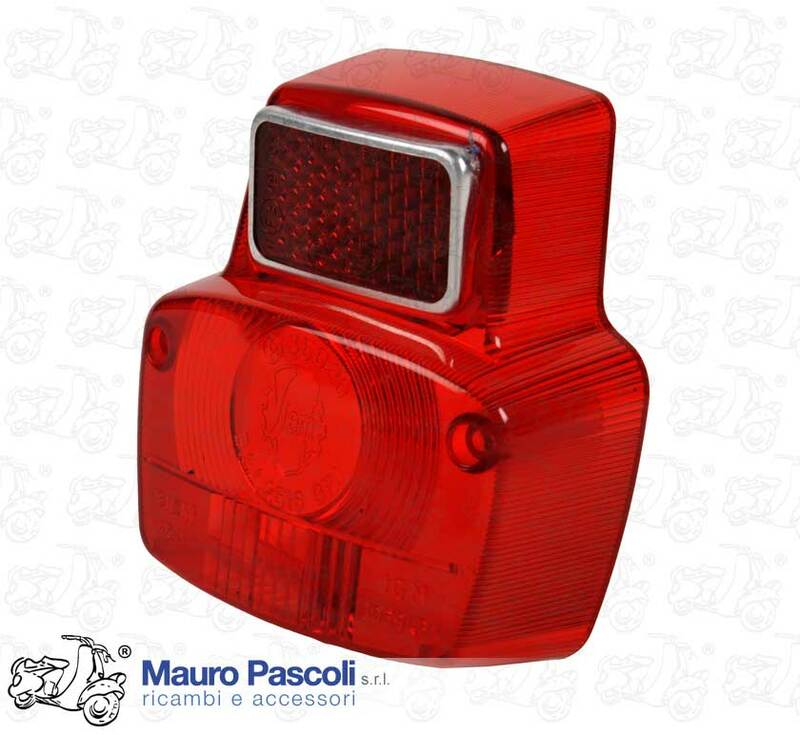 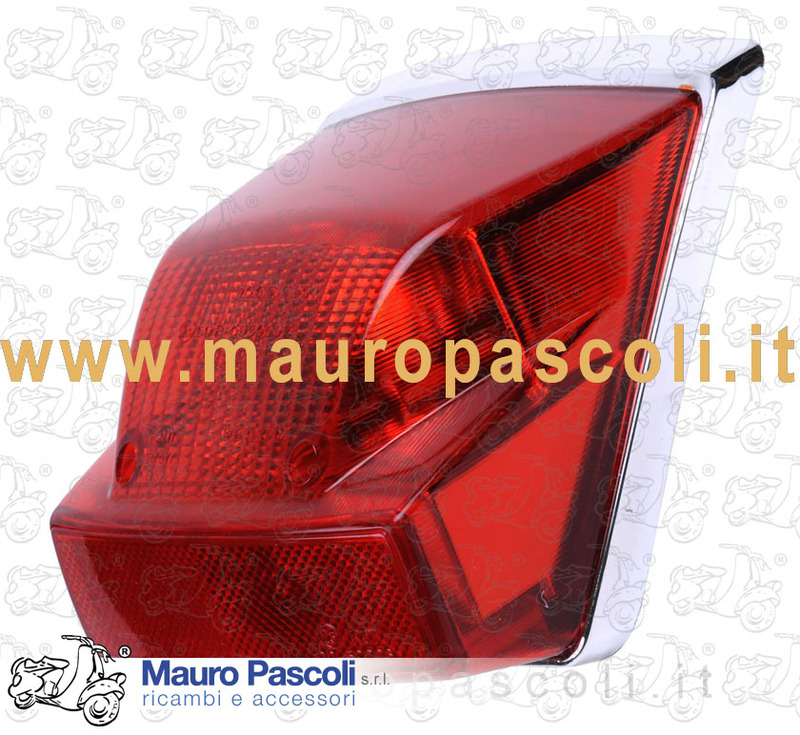 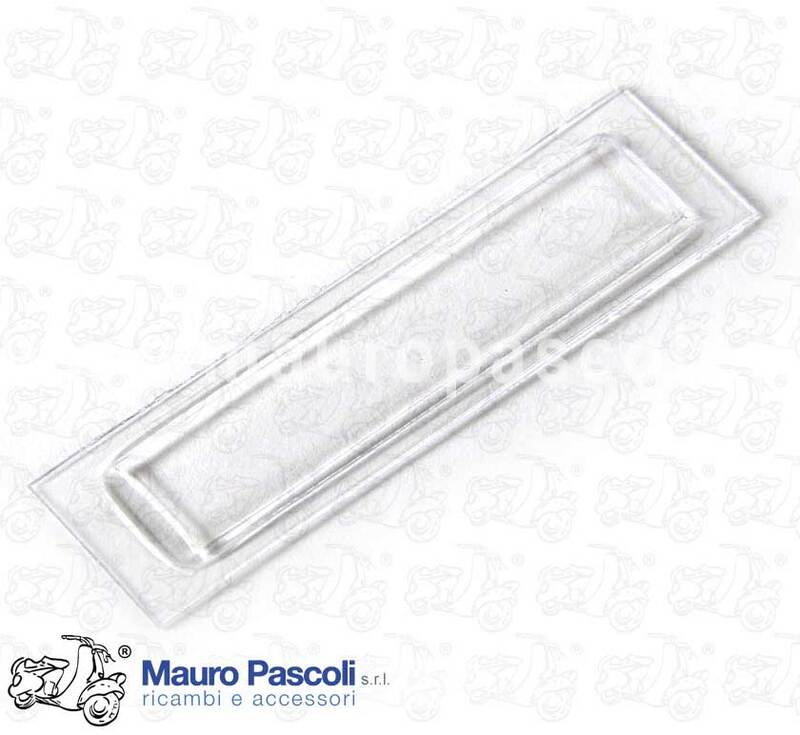 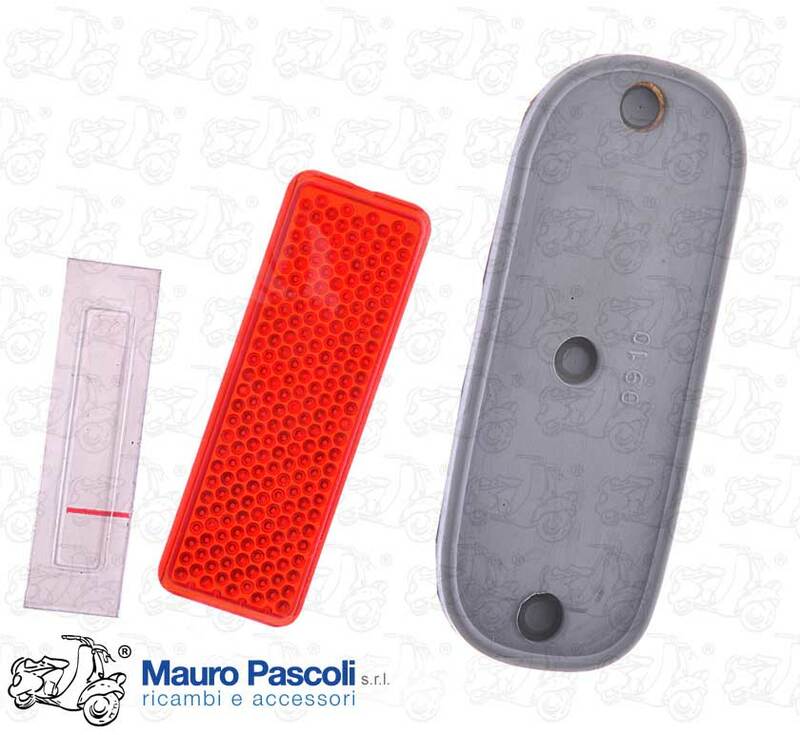 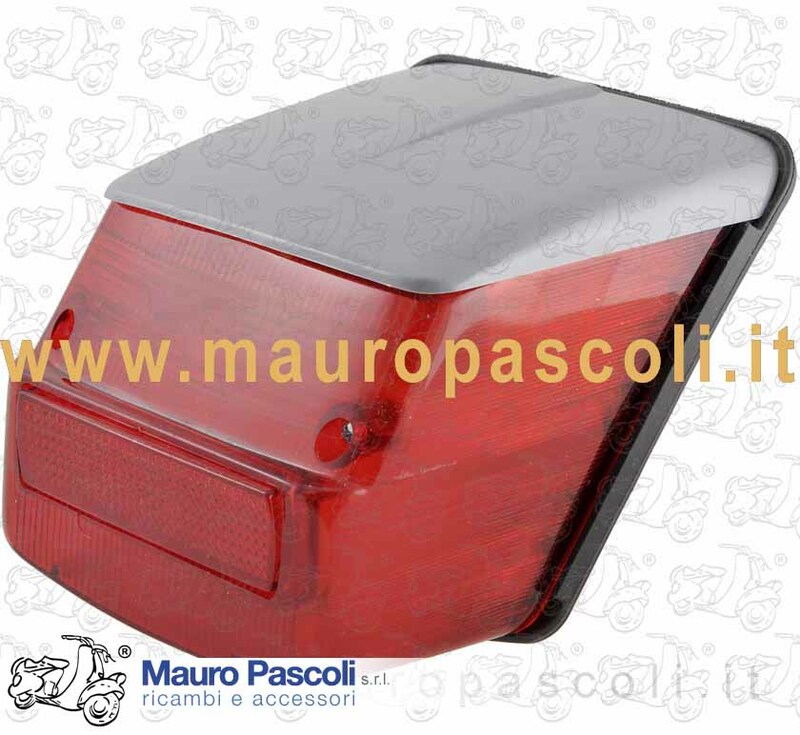 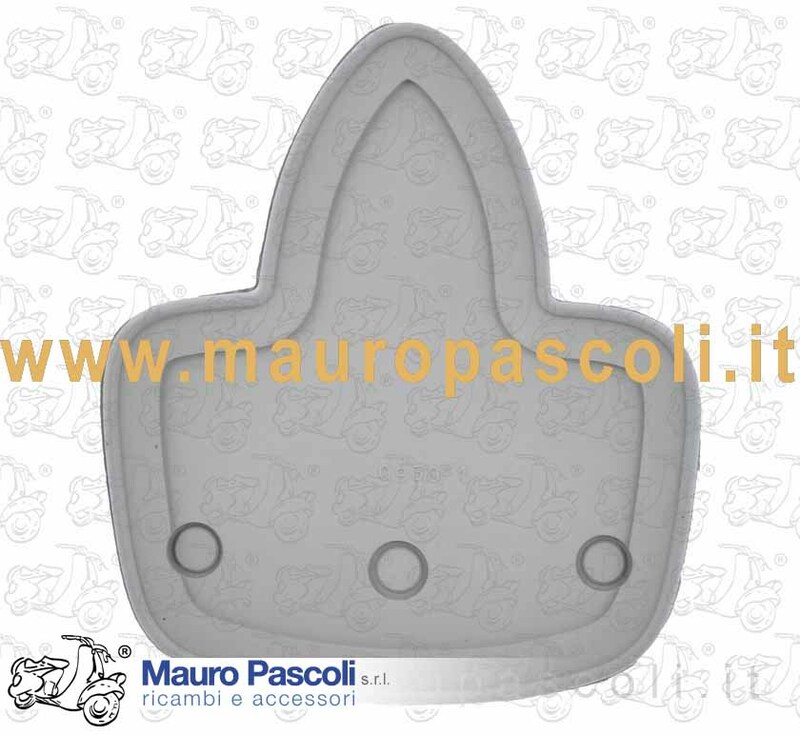 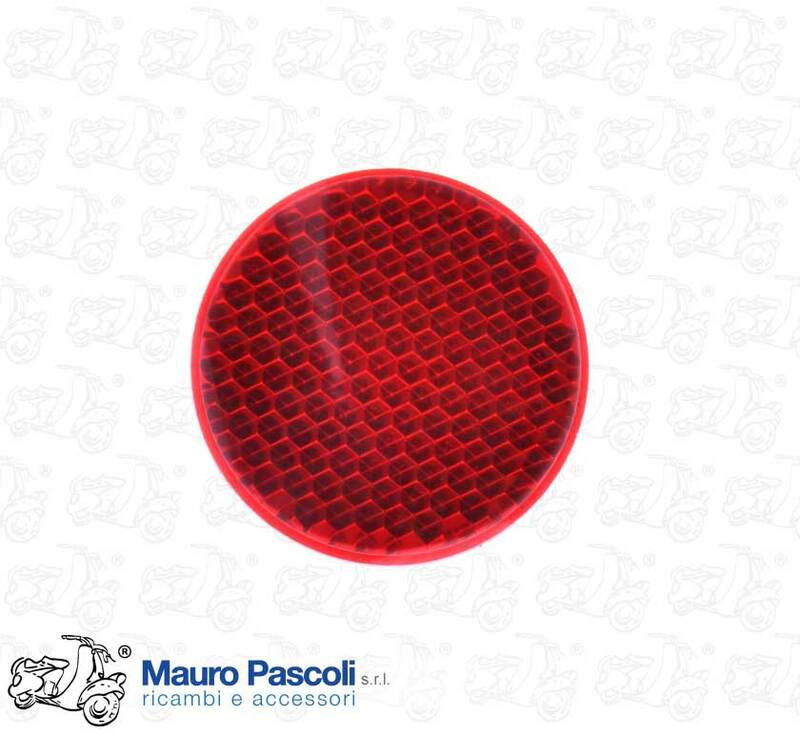 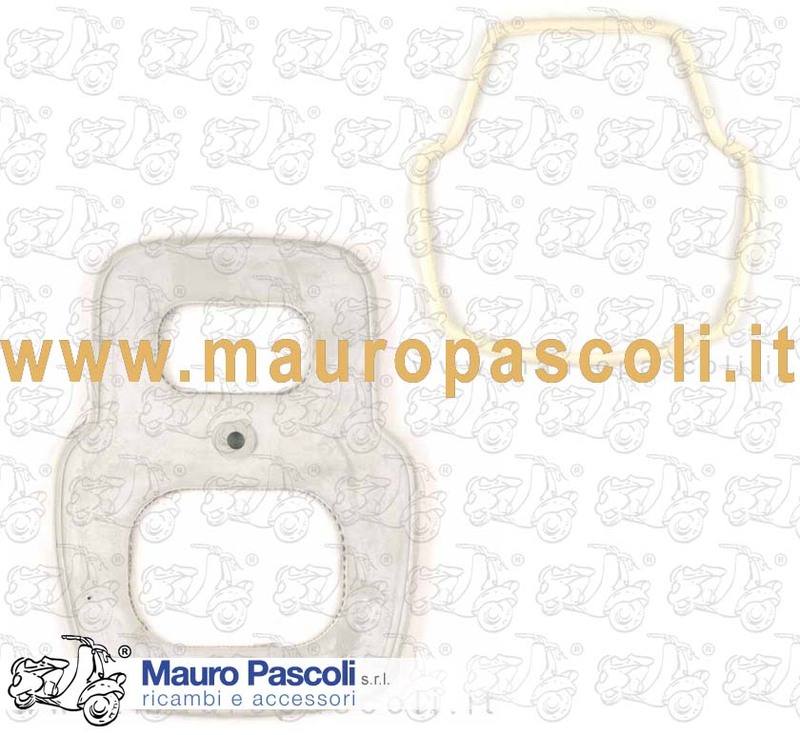 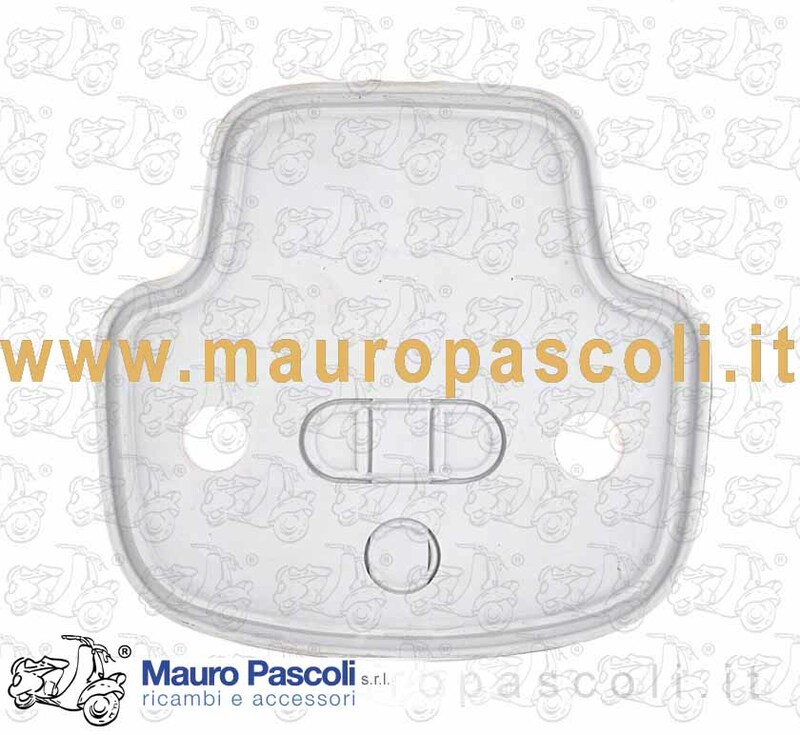 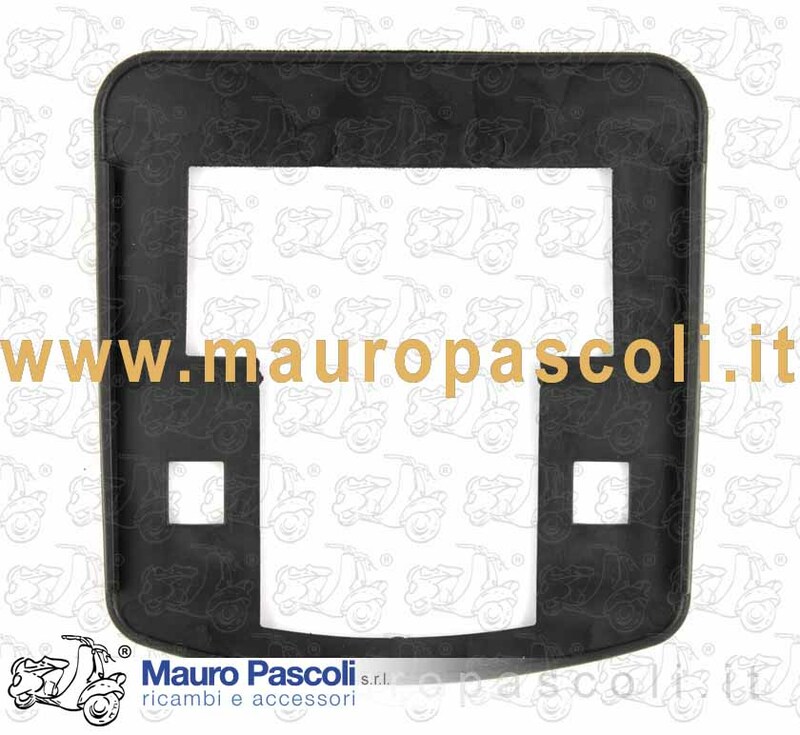 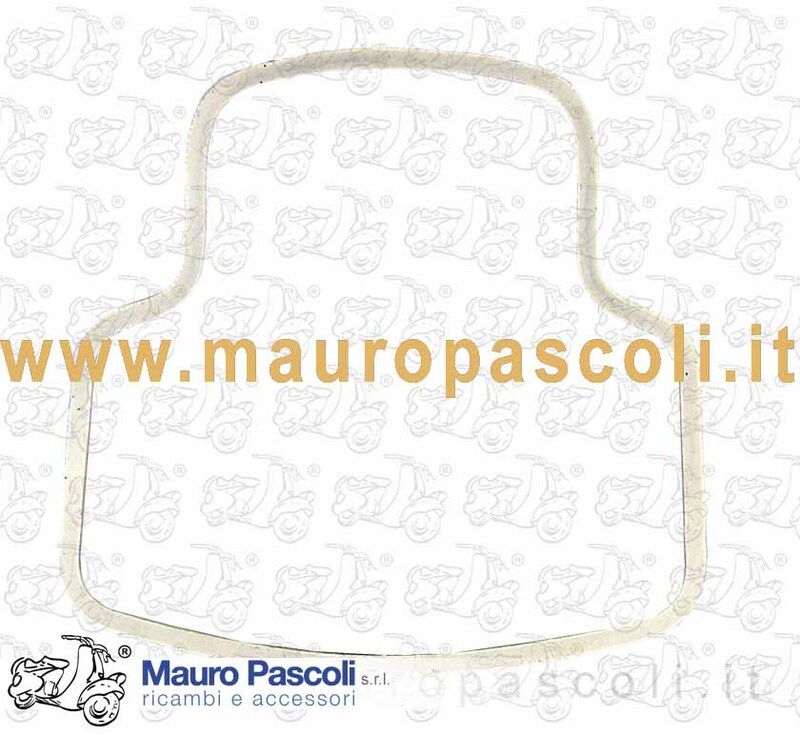 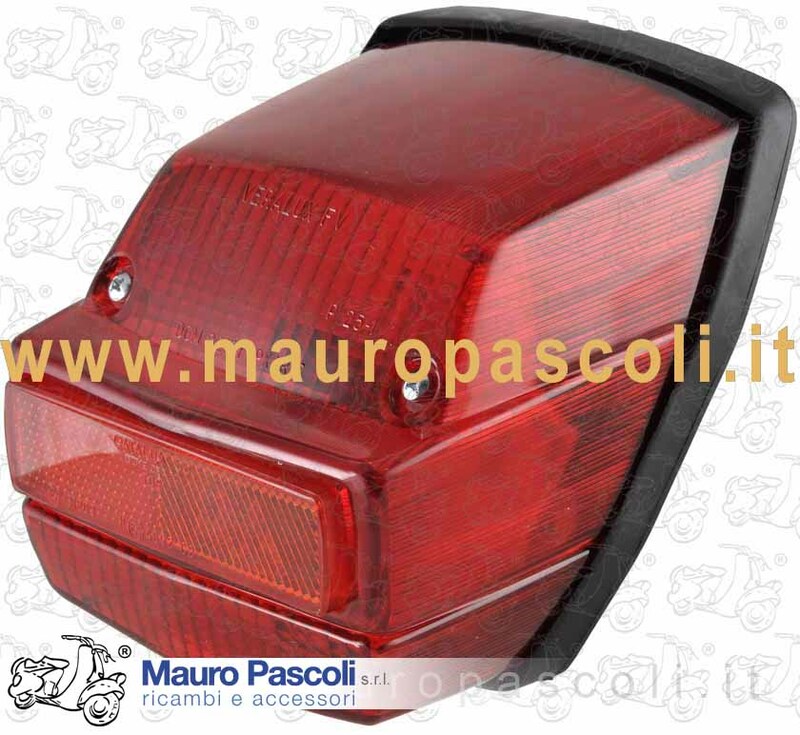 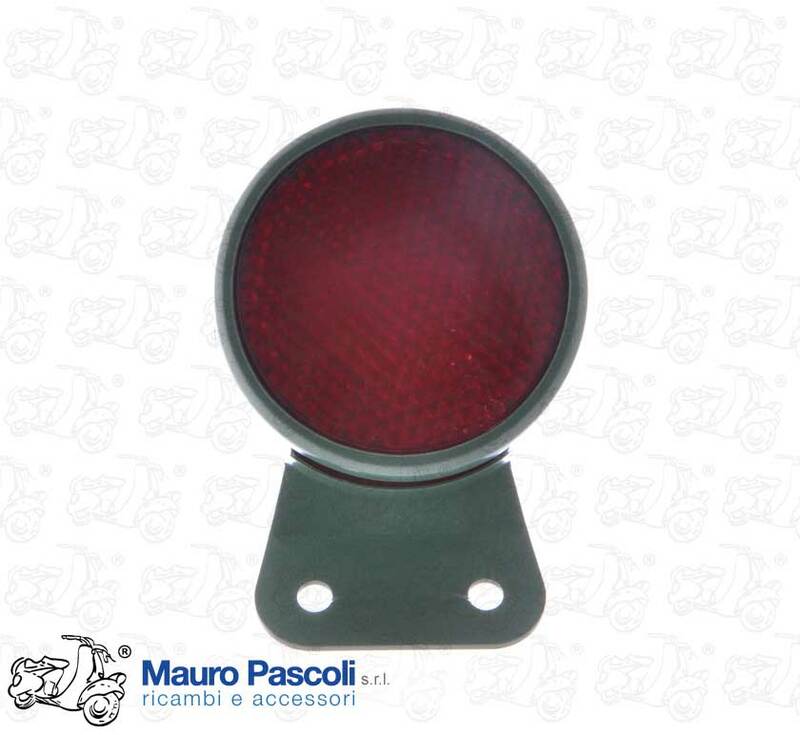 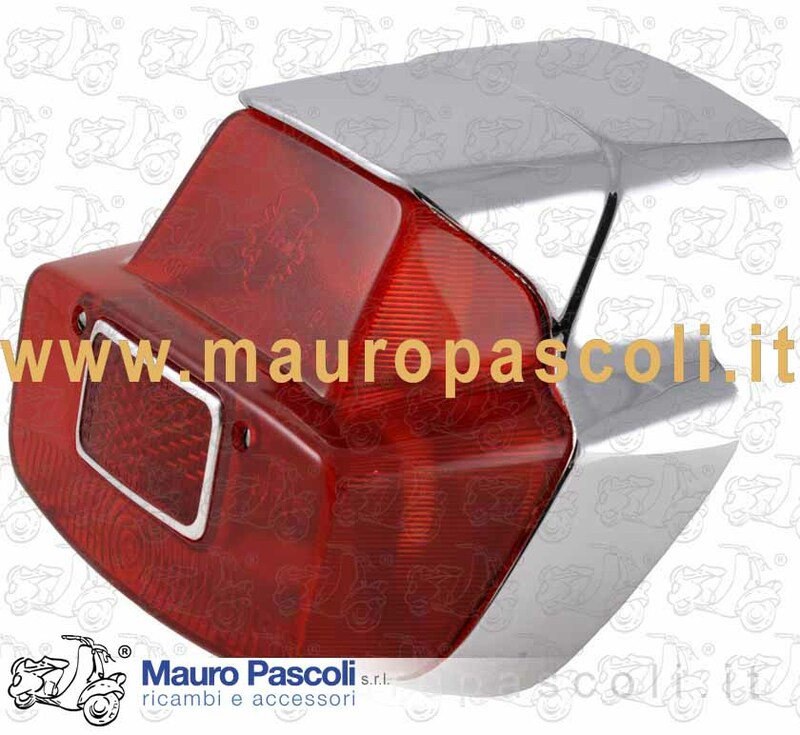 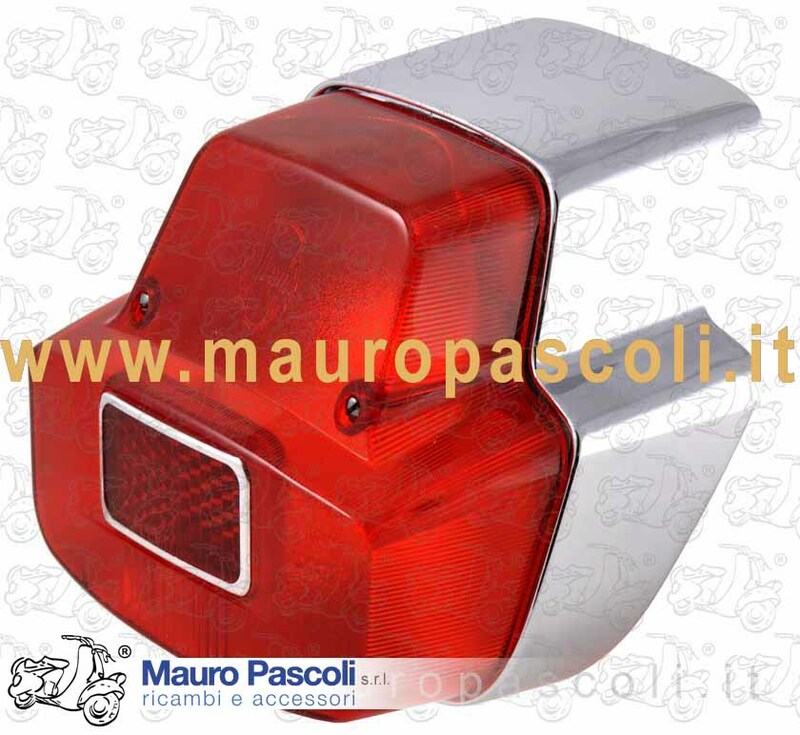 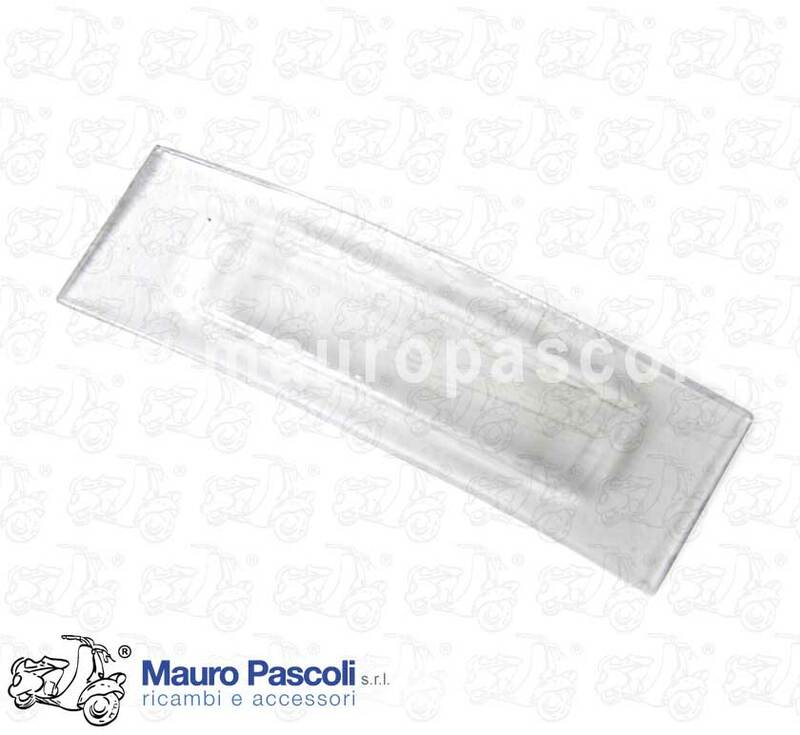 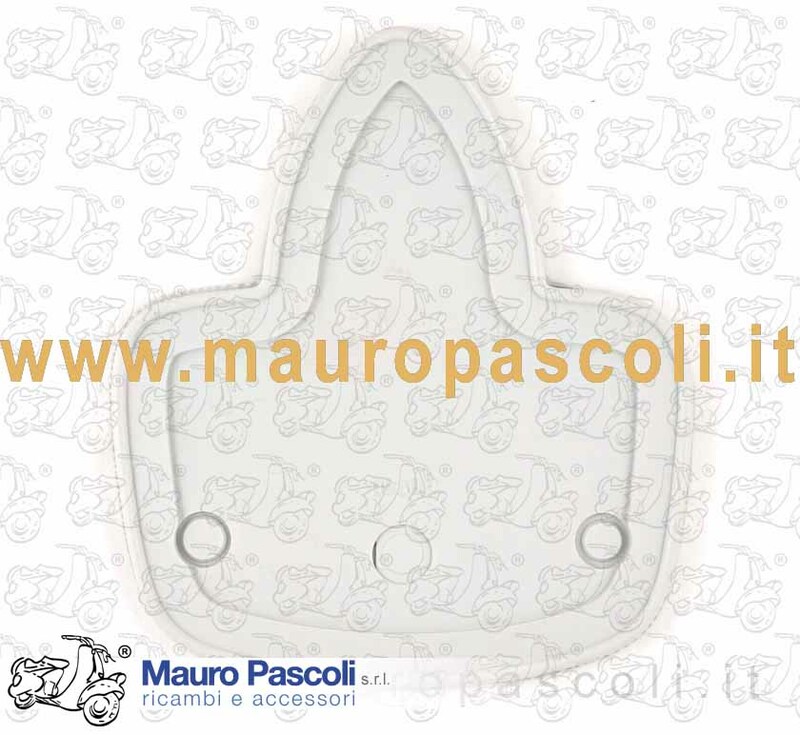 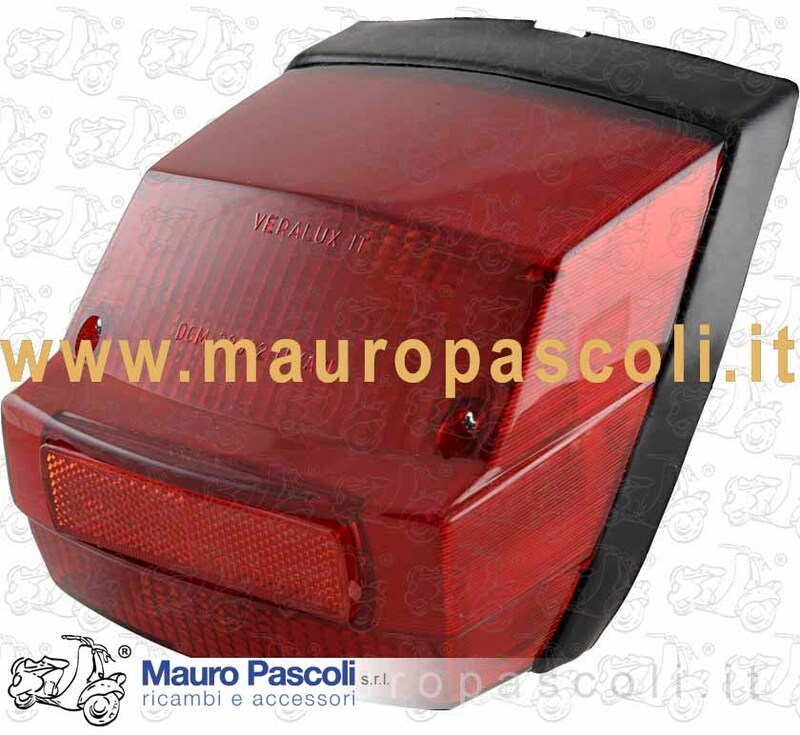 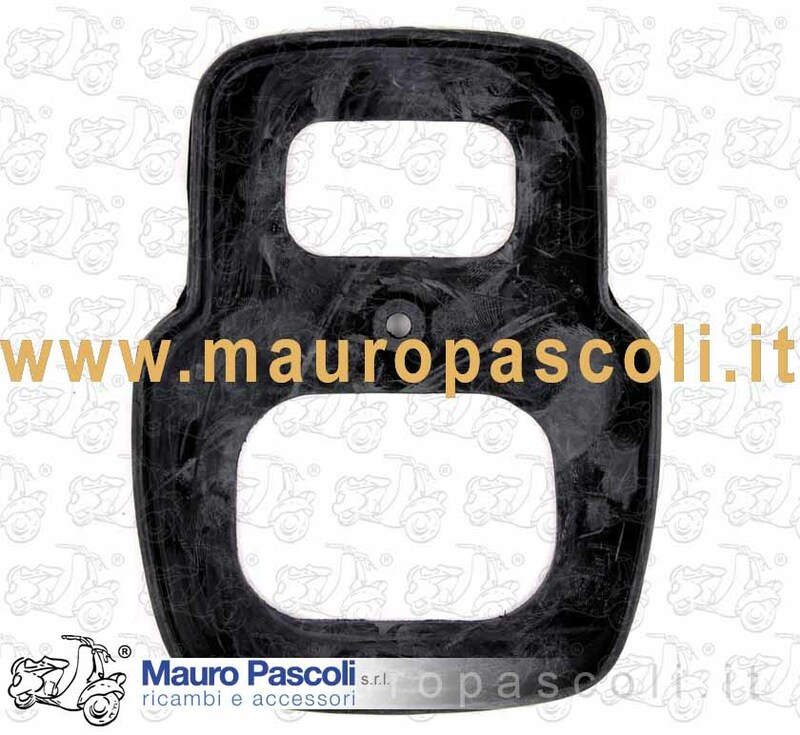 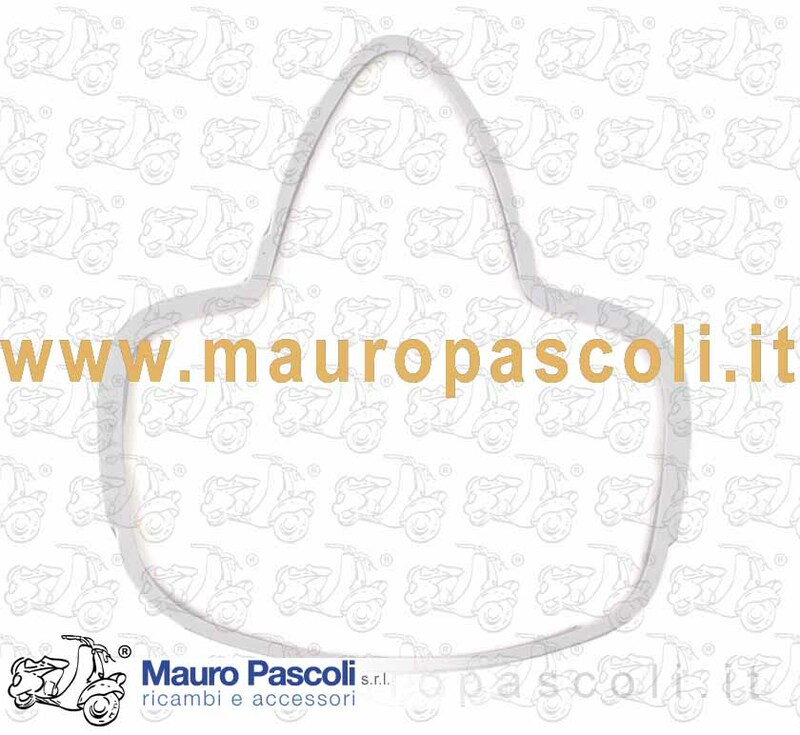 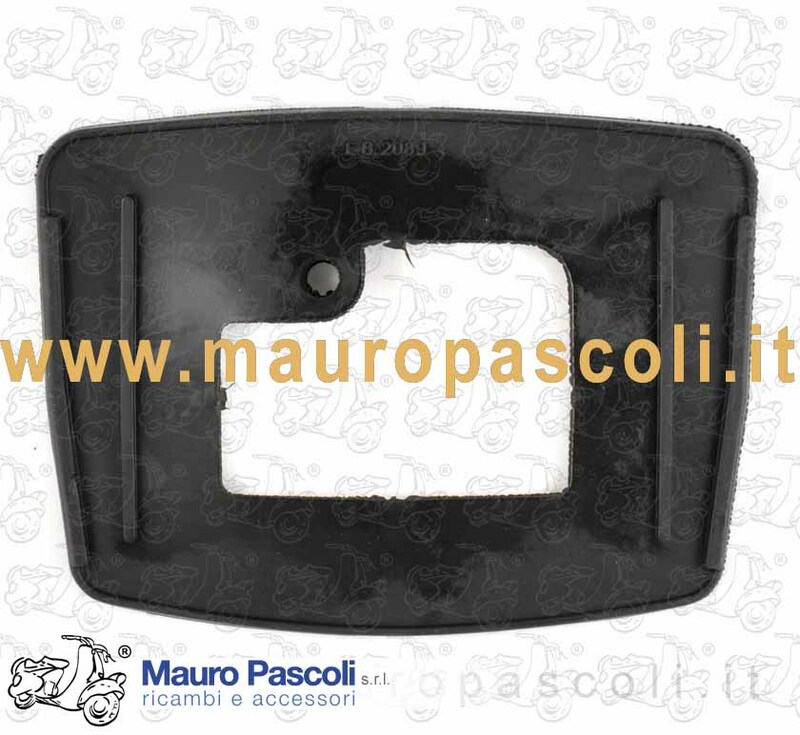 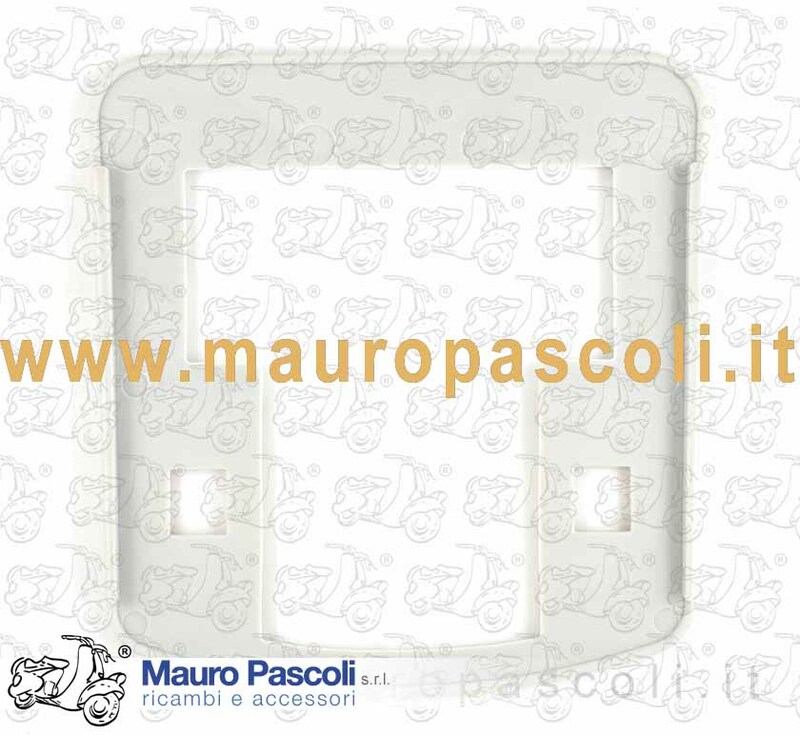 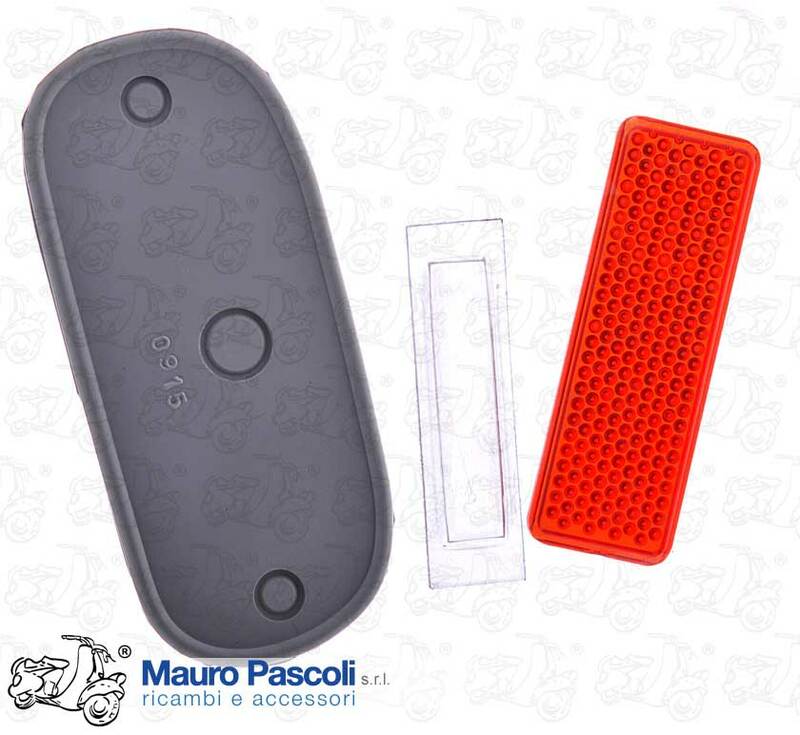 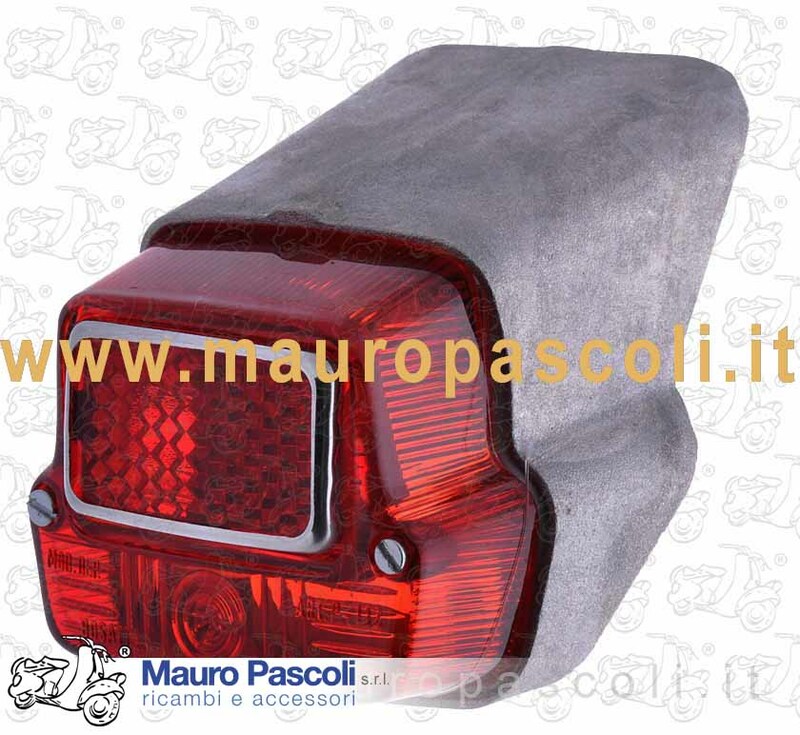 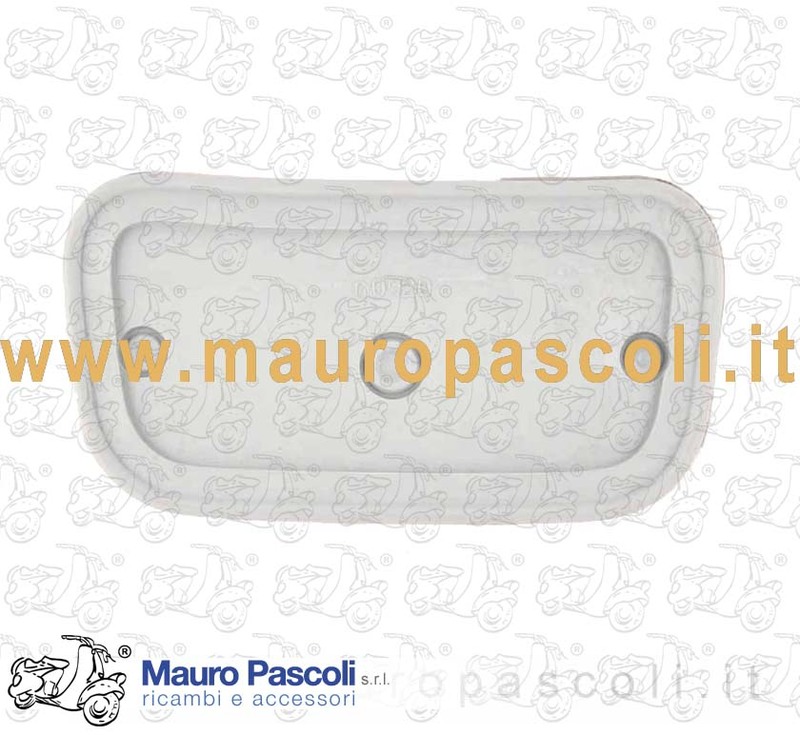 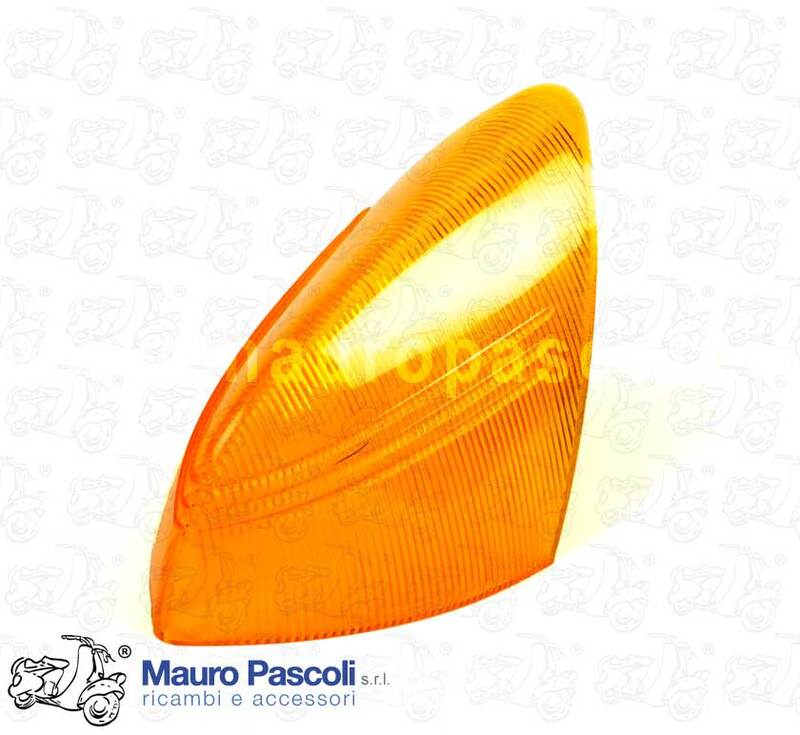 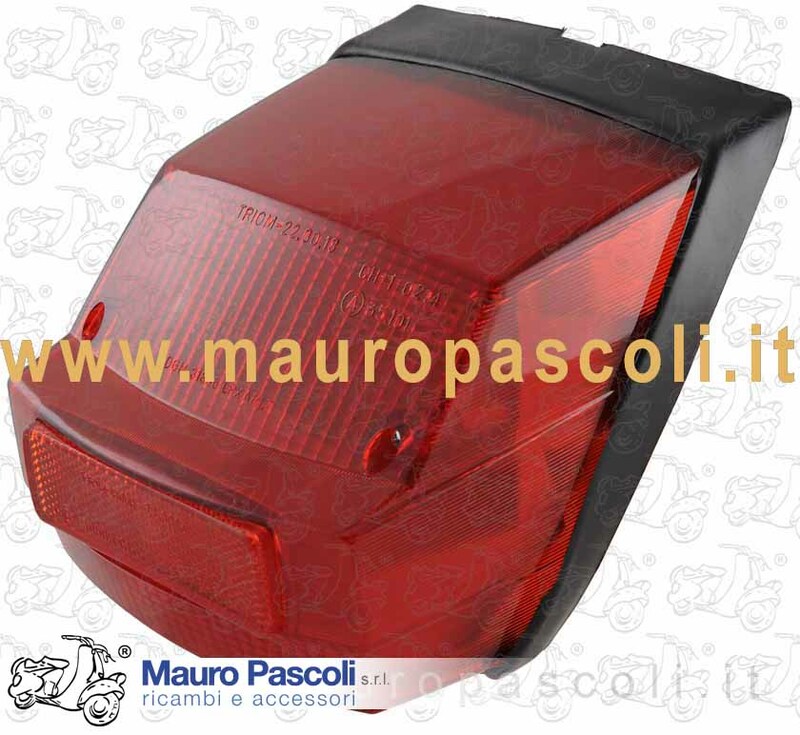 ADATTABILE : VESPA - VNB6T - VLA1T - VLB1T >025478 - VSC1T >018000. 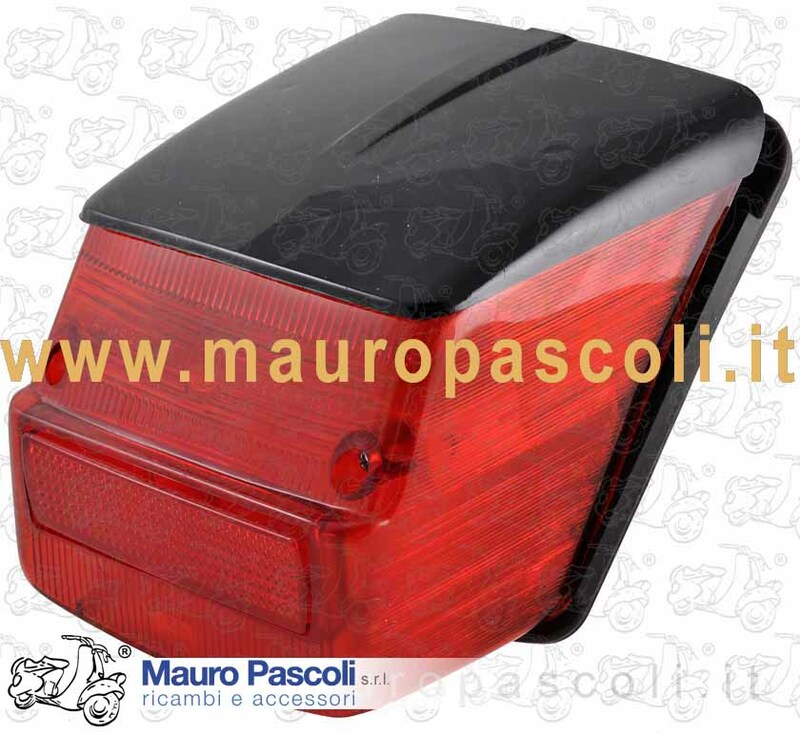 VESPA : V8A1T - V8X1T - VNX1T - VNX2T - VLX1T - VSX1T, E MODELLO AMERICA . 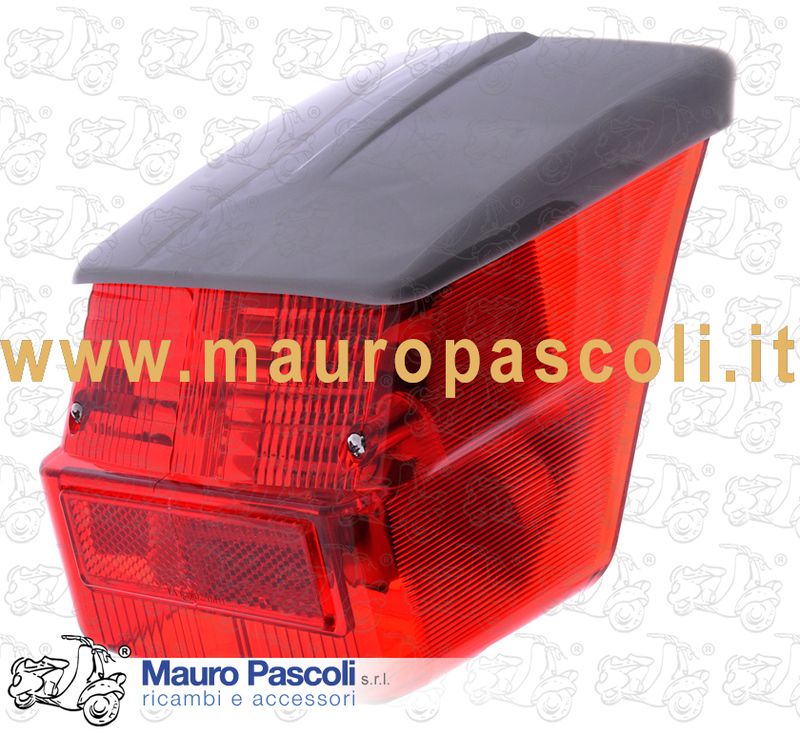 VESPA : V8A1T - V8X1T - VNX1T - VNX2T - VLX1T - VSX1T , E MODELLO AMERICA . 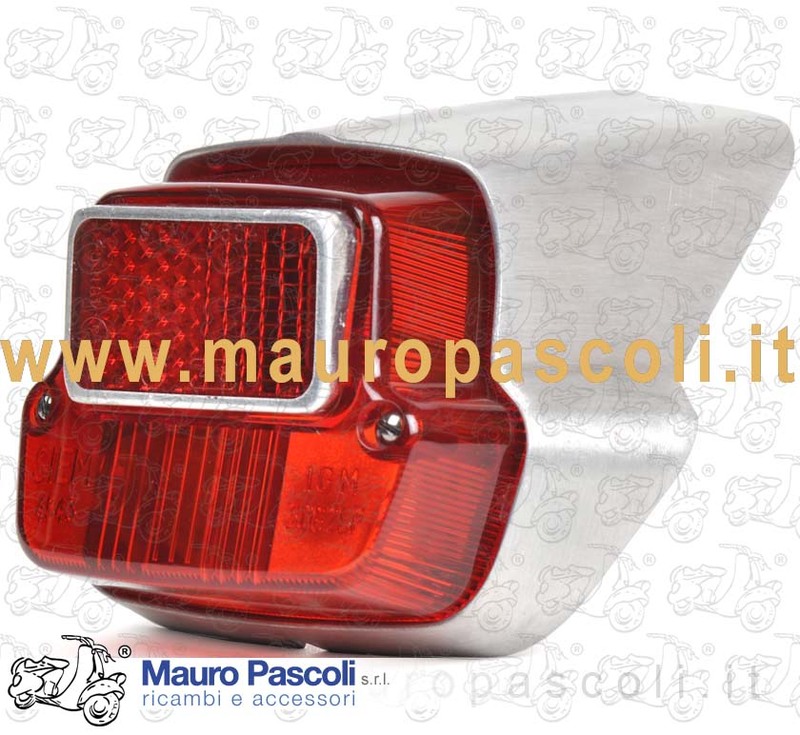 VESPA : PK 50 - V5X1T - V5X2T. 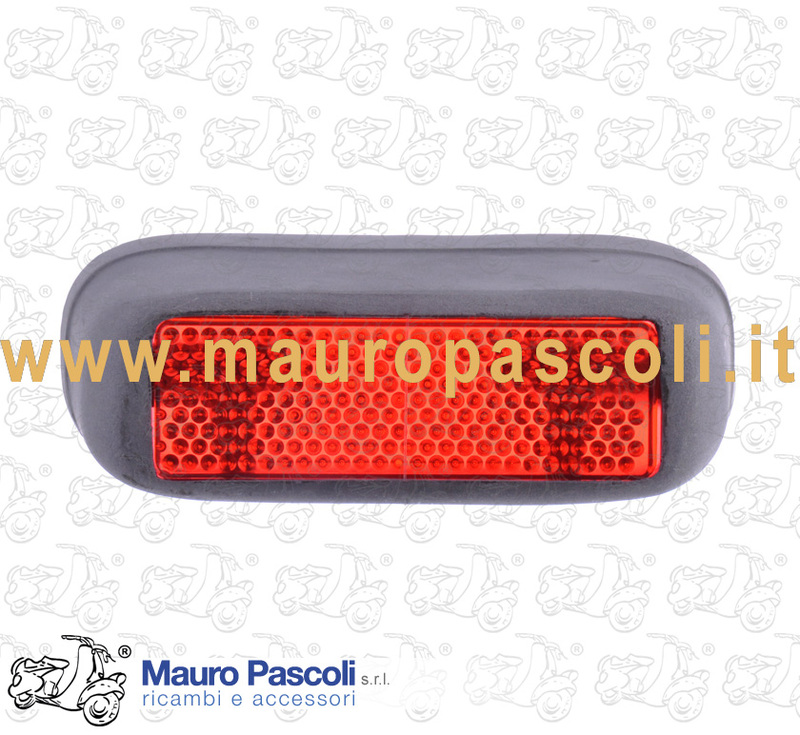 VESPA : V5X3T - V5X4T - VA52T. 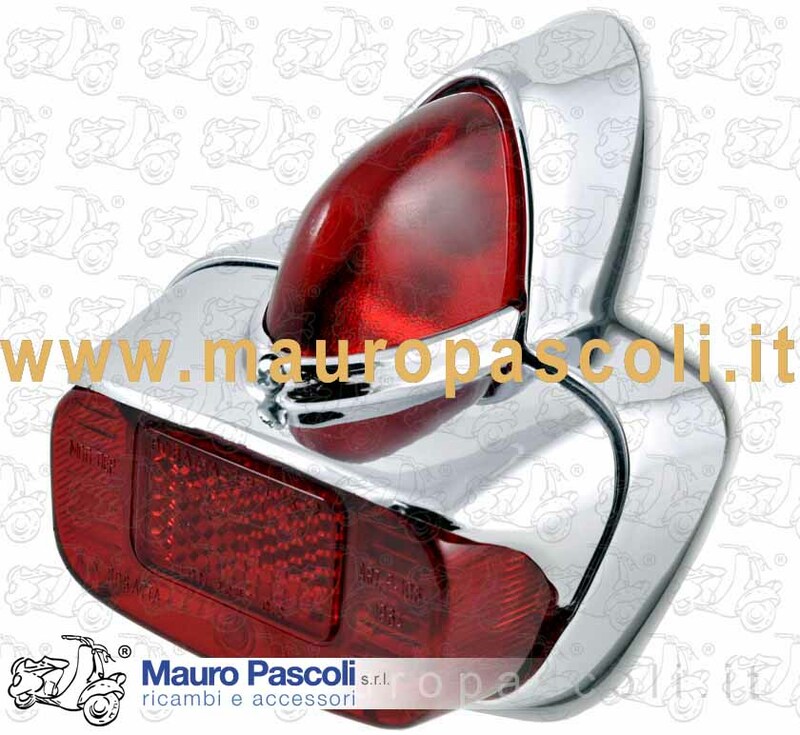 VESPA PX MILLENIUM DAL 2001> . 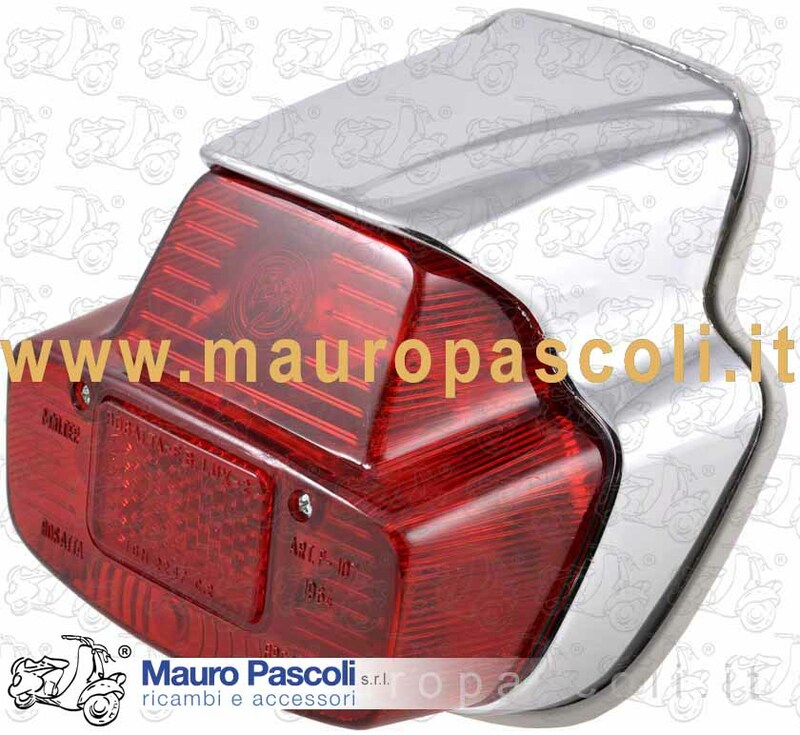 VESPA : VNX2T- VESPA PX MILLENIUM DAL 2001> . 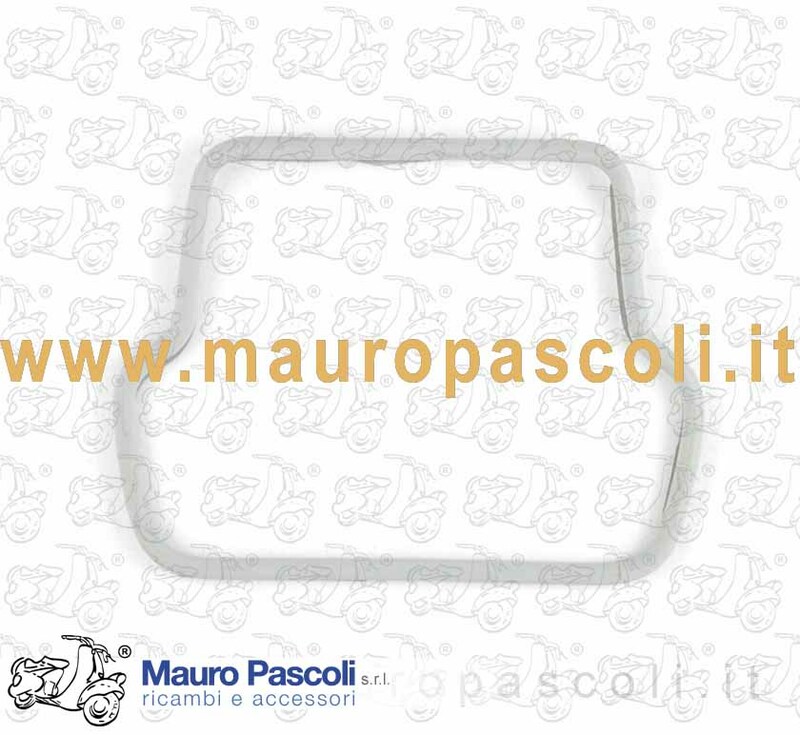 grey - Thickness 6 mm. 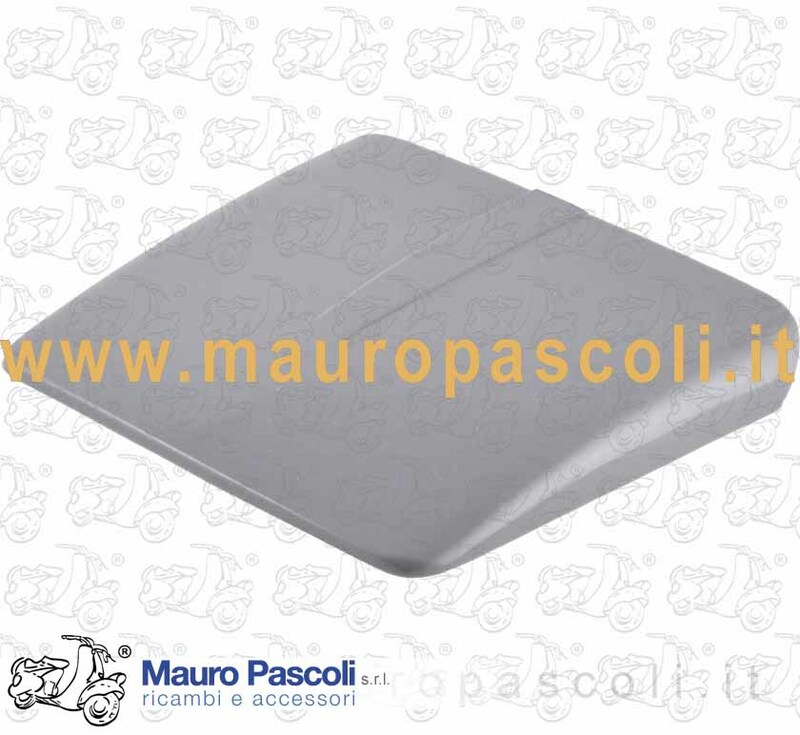 grey - Thickness 2 mm. 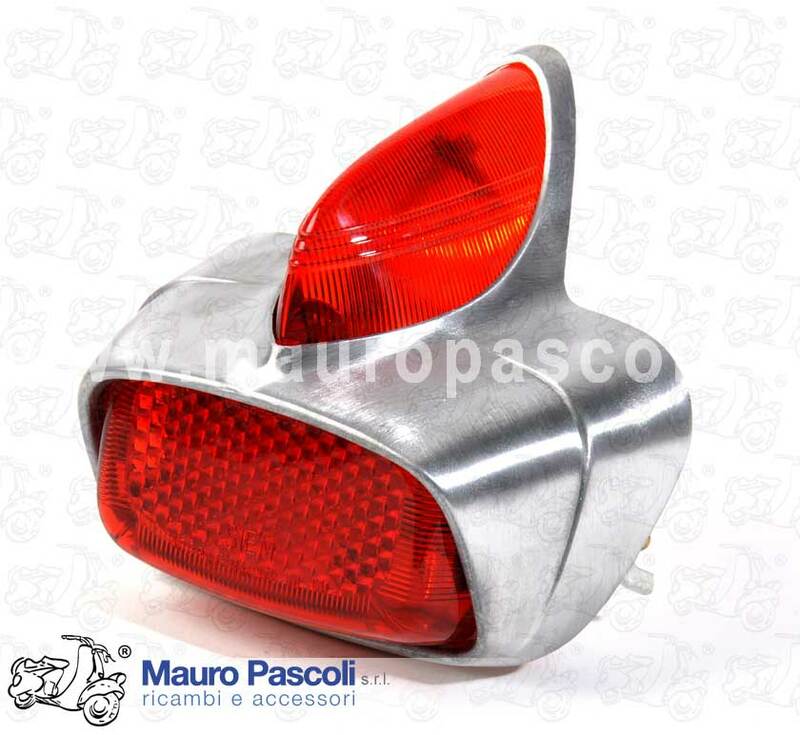 VESPA : 125- VM1T - 125 U - VU1T UTILITARIA . 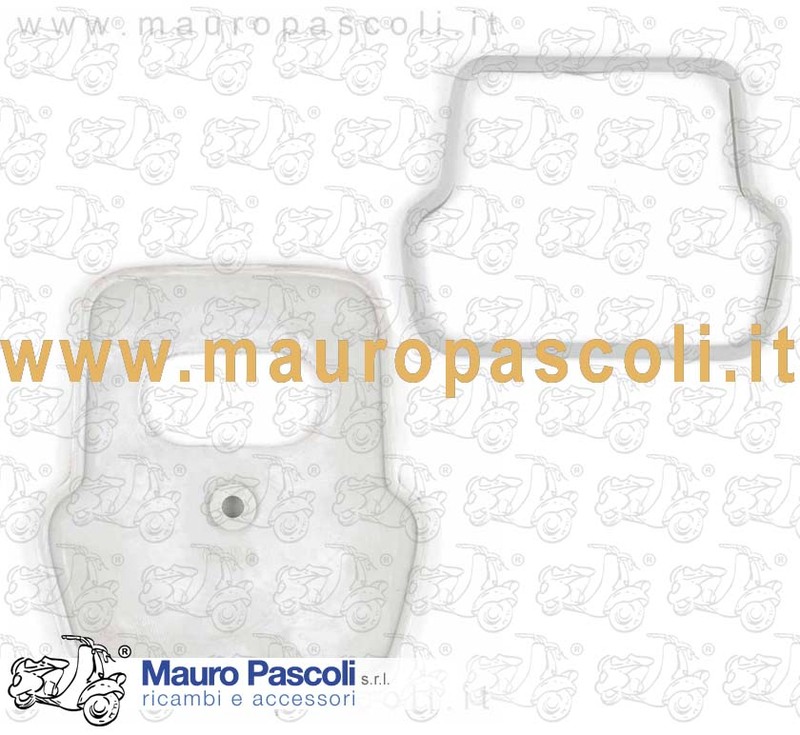 VESPA : 125 - VM2T - VN1T - VN2T - VNA1T - VNA2T >107007 - 150 - VL1T- VL2T - VL3T - VB1T - 150 GS-VS1T - VS2T - VS3T . 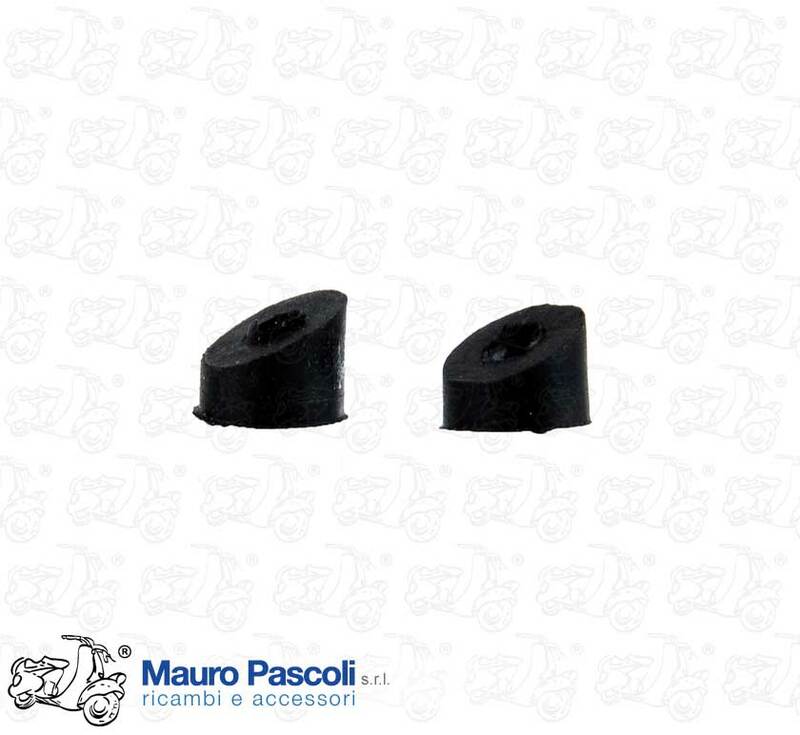 VESPA : 125 VNA2T 107008> - 150 VBA1T >110485 - 150 GS - VS4T - VS5T >87589 . 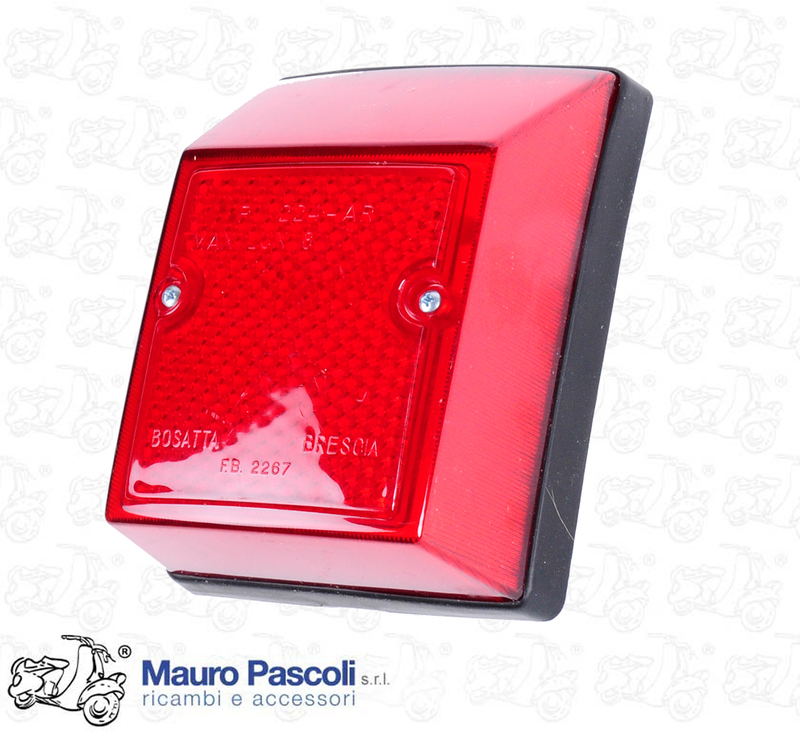 VESPA : VNB1T>5T - VBA1T 110486 - VBB1T>2T - VSB1T. 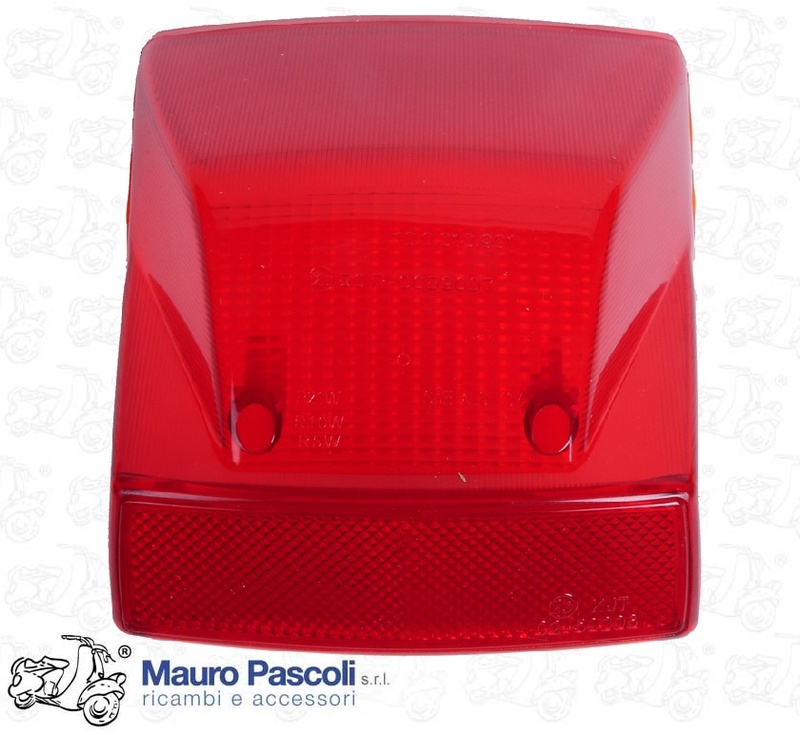 modifica per applicazione fanalino con stop,adeguamento al codice motorizzazione dal 1959 . 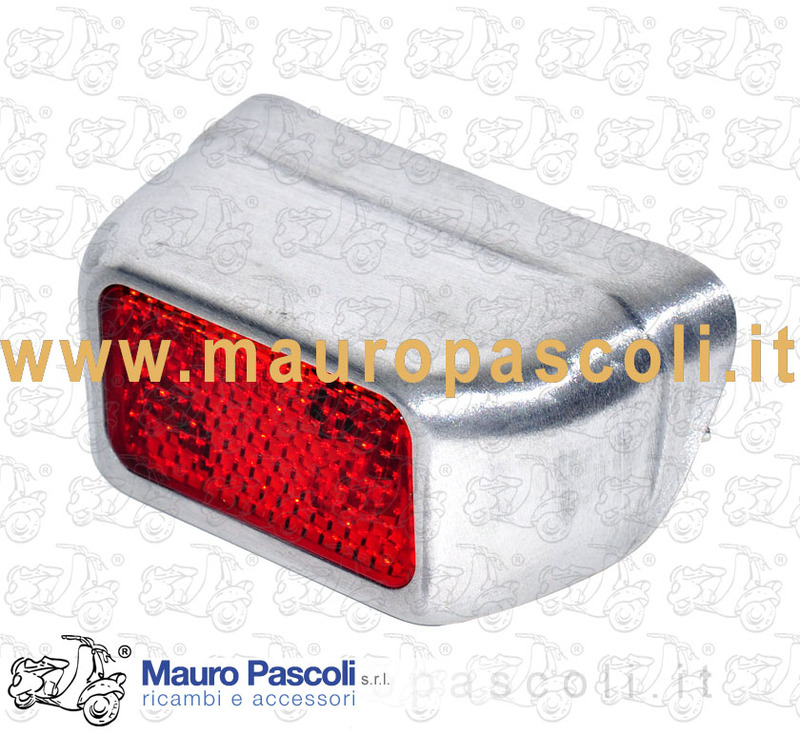 Adaptable: 125-V30T>33T-VM1T>2T-VN1T>2T 125 U-VU1T 150-VL1T>3T-VB1T. 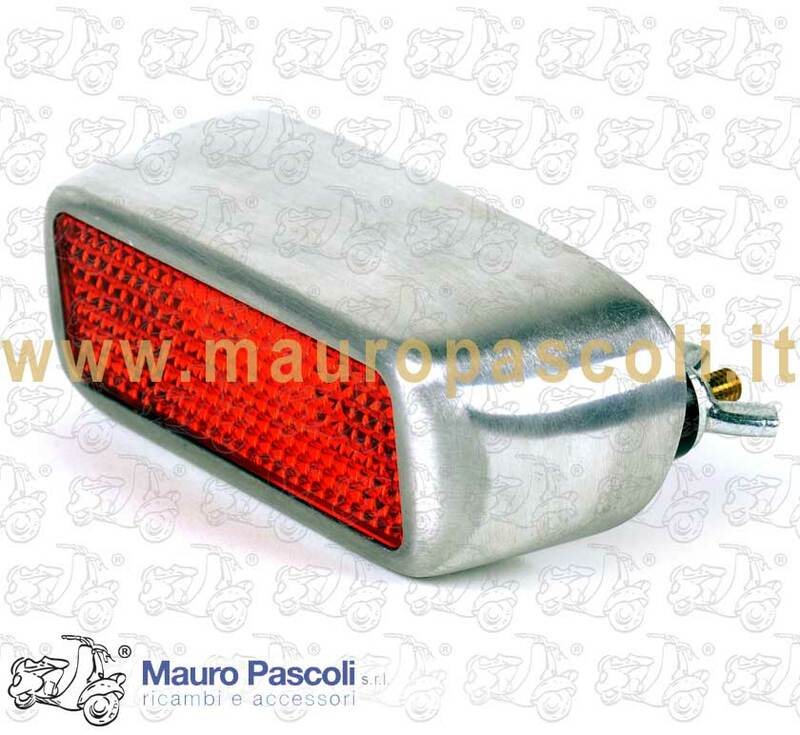 ADATTABILE : VESPA - VNA1T>2T - VNB1T>5T - VBA1T - VBB1T>2T - VS4T>5T - VSB1T. 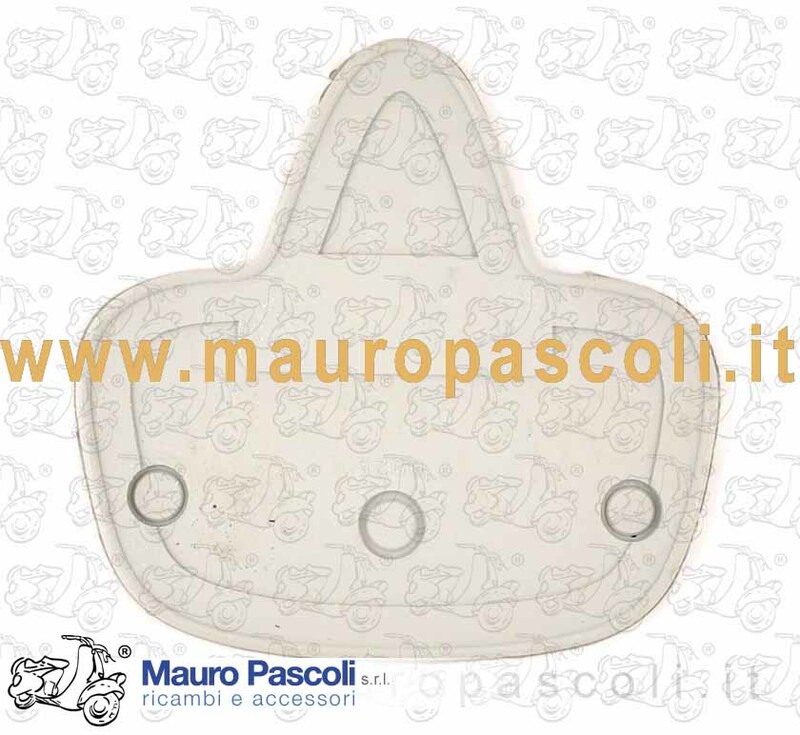 VESPA : 125 VNB1T - VNB2T - VNB3T- VNB4T - VNB5T - 150 VBA1T 110486> - VBB1T- VBB2T 150 GS VS5T 87590> 160 GS-VSB1T. 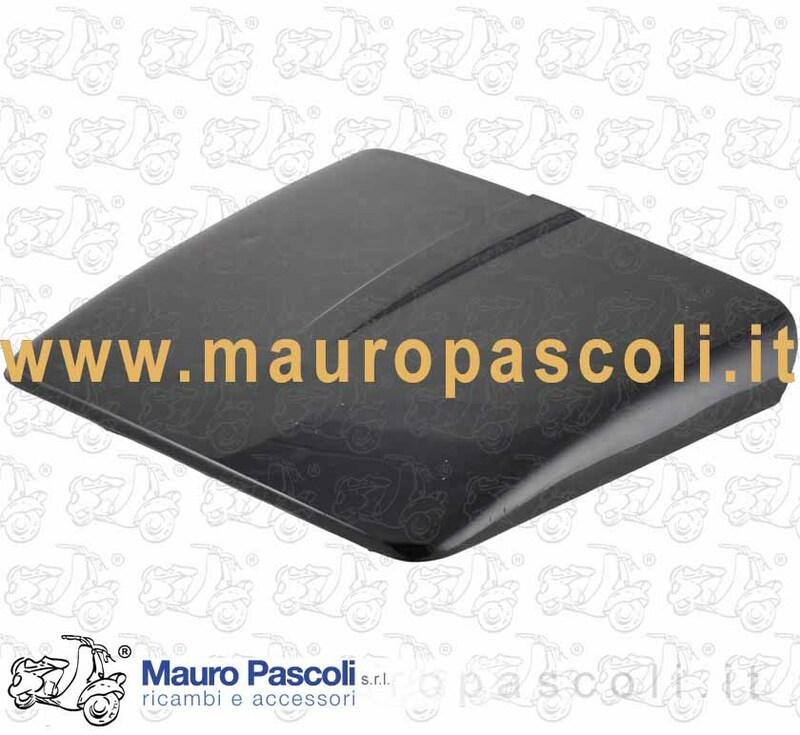 Adaptable: 125- VNB6T - 180 SS - VSC1T. 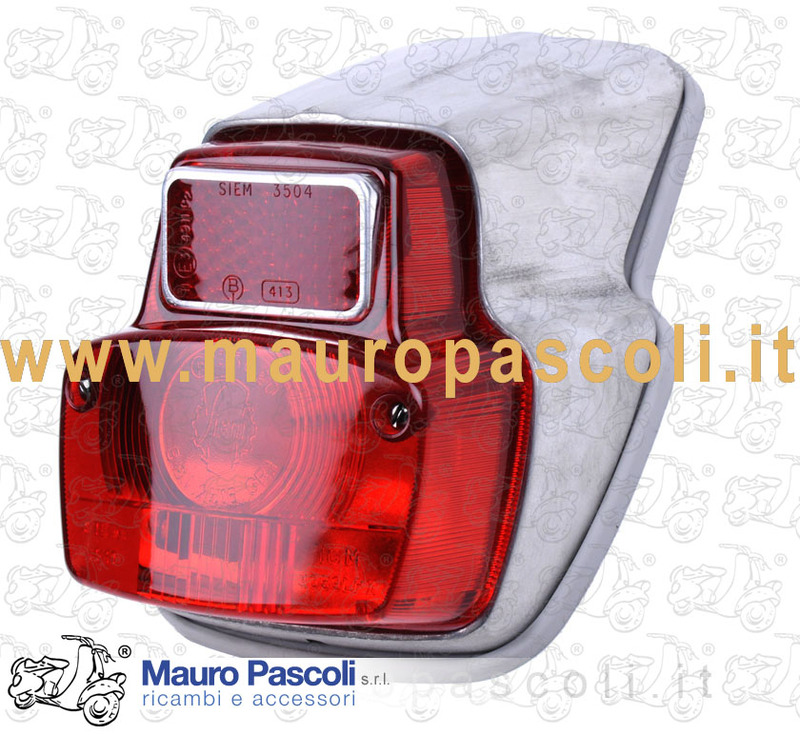 VESPA : 180 Rally - VSD1T >1500 . 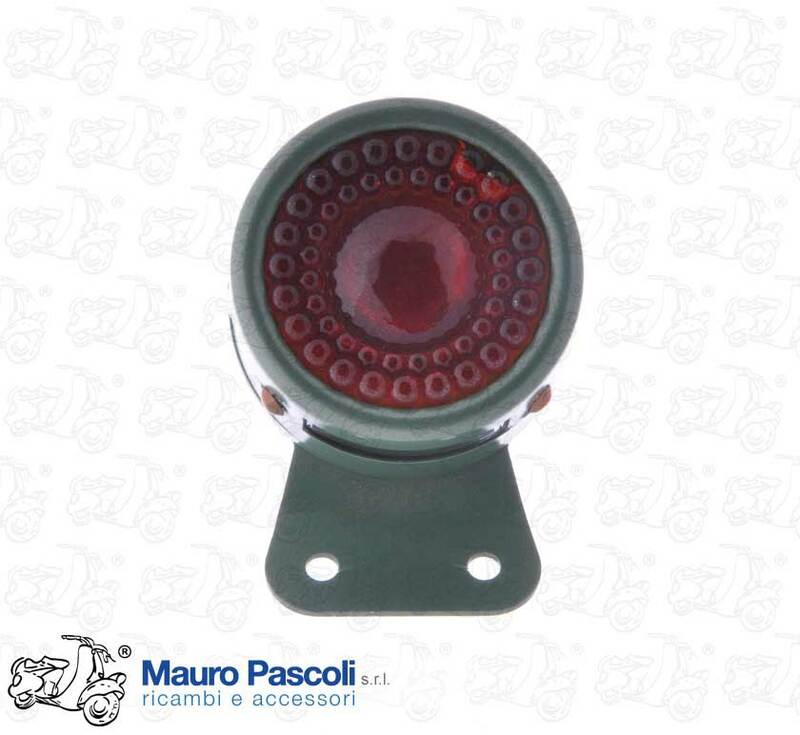 VESPA : 125-VNB6T - 125 GT- VNL2T - 125 SUPER - VNC1T - 150 GL - VLA1T - 150 SPRINT - VLB1T -VLB2T -1 50 SUPER - VBC1T - 180 SS- VSC1T. 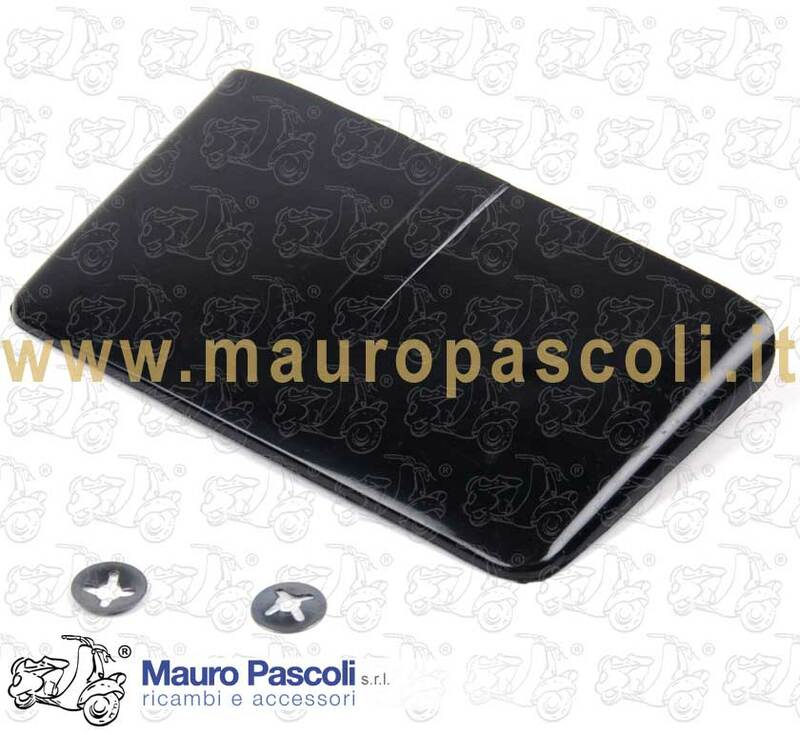 VESPA :125 -VNB6T - 125 GT- VNL2T - 125 SUPER - VNC1T - 150 GL - VLA1T - 150 SPRINT - VLB1T -VLB2T - 150 SUPER - VBC1T - 180 SS - VSC1T - 180 Rally - VSD1T >1500 . 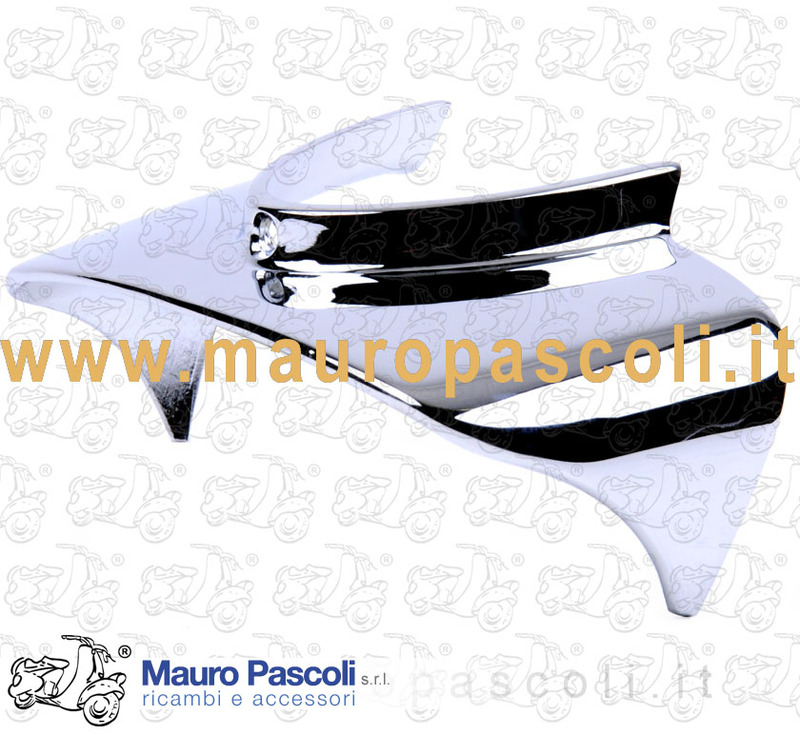 VESPA 50 SUPER SPRINT-V5SS1T - 90-V9A1T - 90 SUPER SPRINT- V9SS1T - 125 NUOVA LINEA - VMA1T - 125 PRIMAVERA -VMA2T >140161. 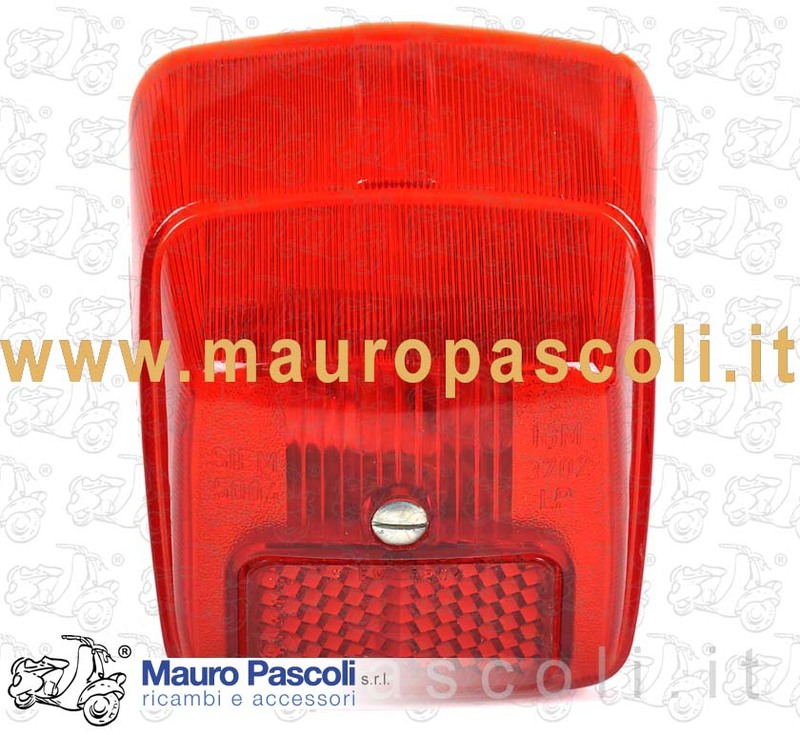 VESPA : 50 N-V5A1T >49125. 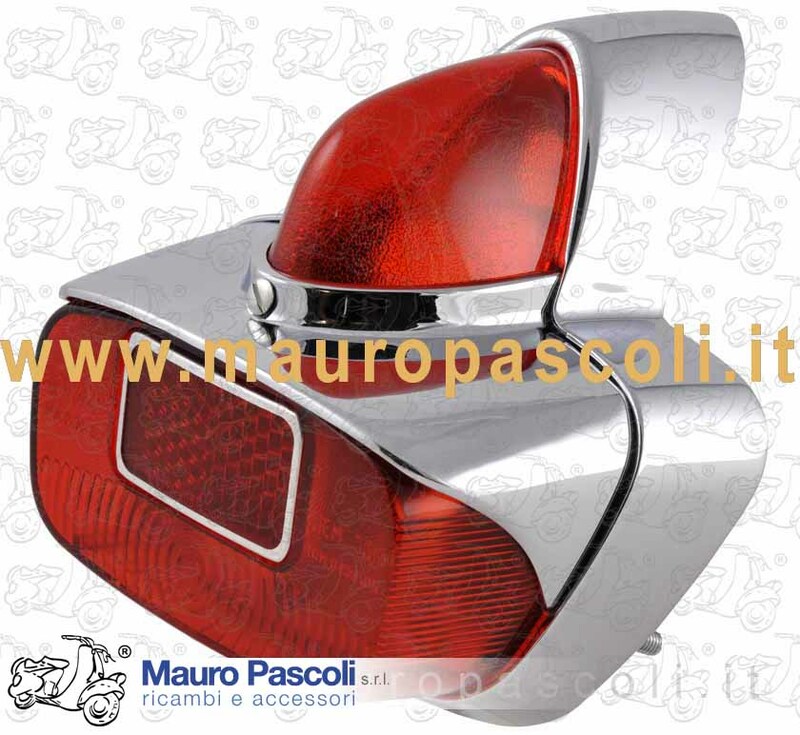 VESPA : 125 GTR - VNL2T >117898 - 150 SPRINT VELOCE - VLB1T >164041. 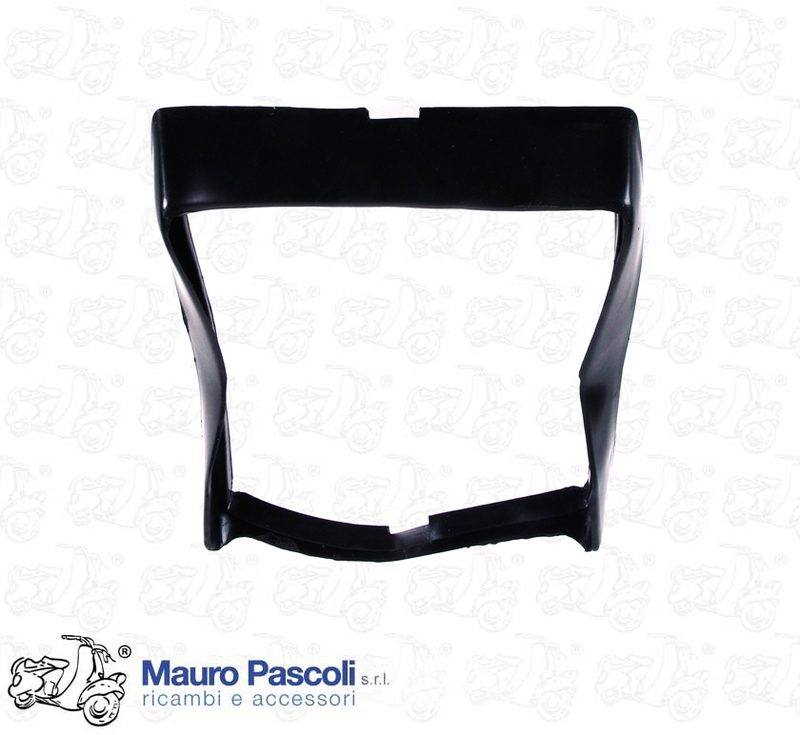 Adaptable: 125 GTR -VNL2T 124092> - 150 SPRINT VELOCE - VLB1T 164042>. 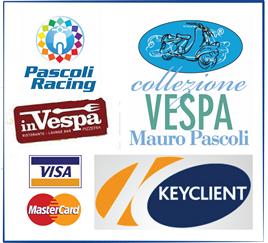 VESPA125 GTR-VNL2T 117899> - 125 TS - VNL3T - 150 SPRINT VELOCE- VLB1T164042> - 180 Rally-VSD1T 1501> - 200 RALLY - VSE1T. 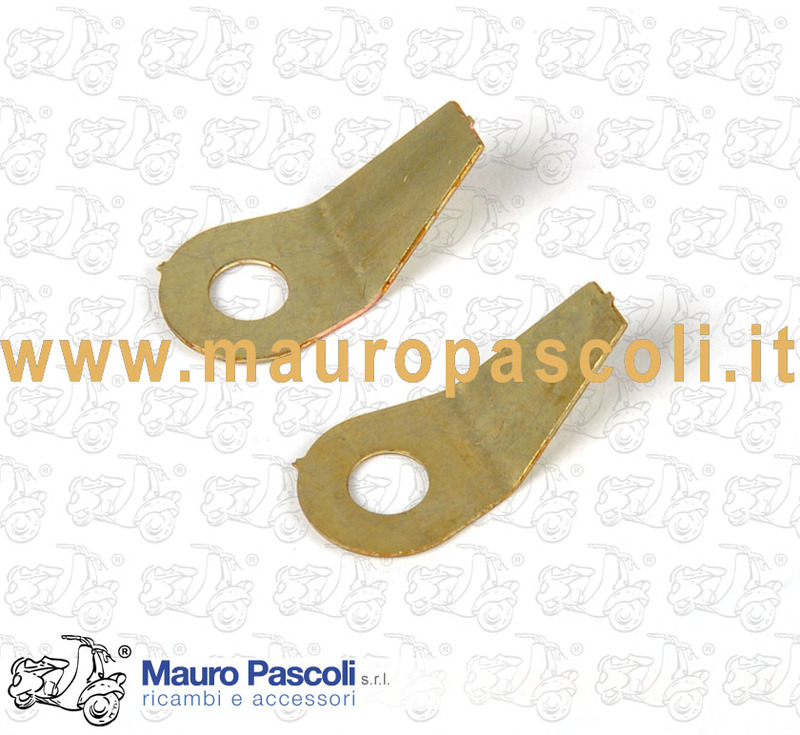 Adaptable: 125 GTR-VNL2T >117899 - 150 SPRINT VELOCE VLB1T >162041 . 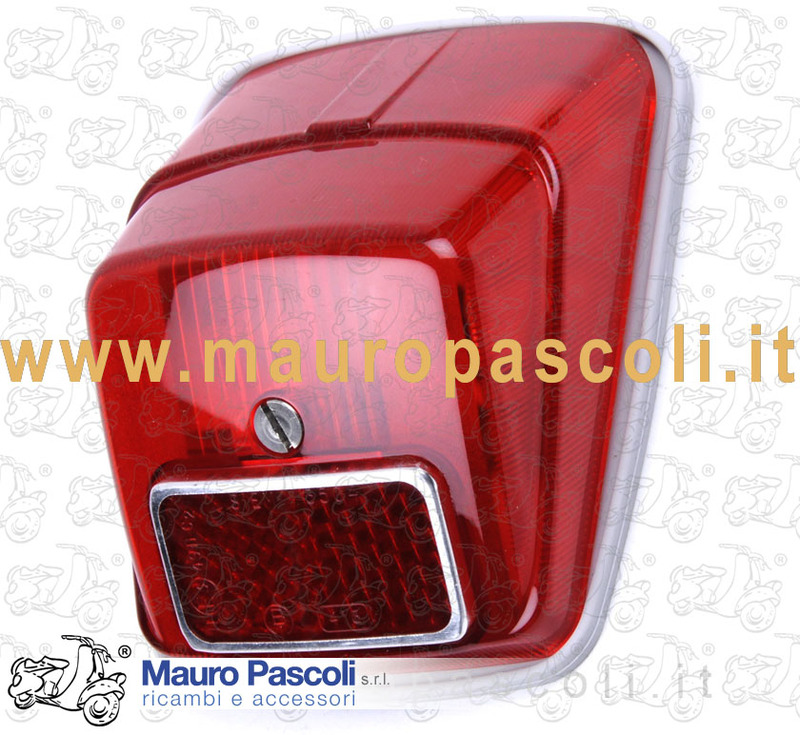 VESPA : 50 S - V5SA1T 69245> - 90-V9A1T 141544> - 125 PRIMAVERA - VMA2T 140162> - 125 PRIMAVERA ET3 - VMB1T . 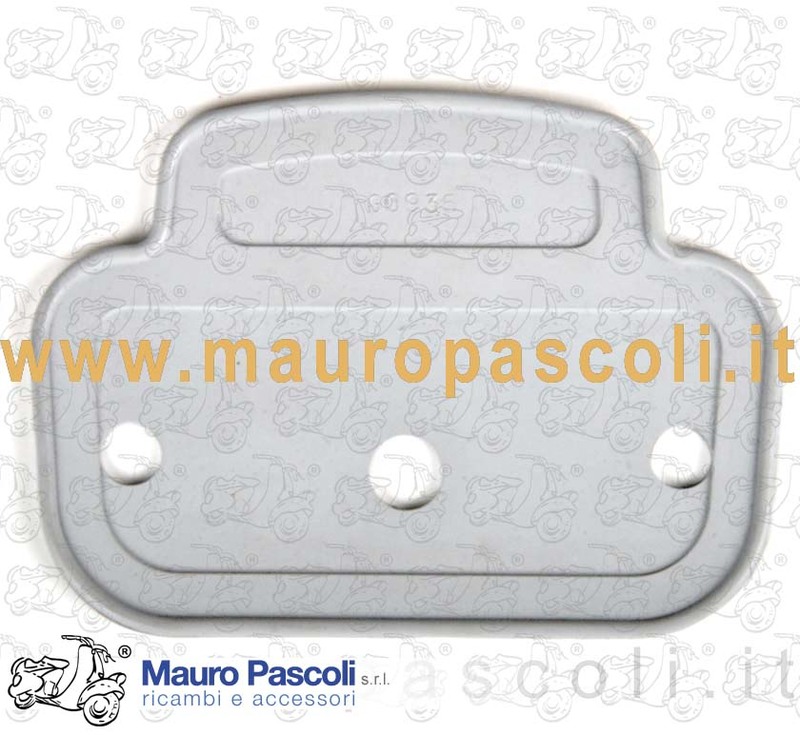 VESPA : 50 N-V5A1T >49125 . 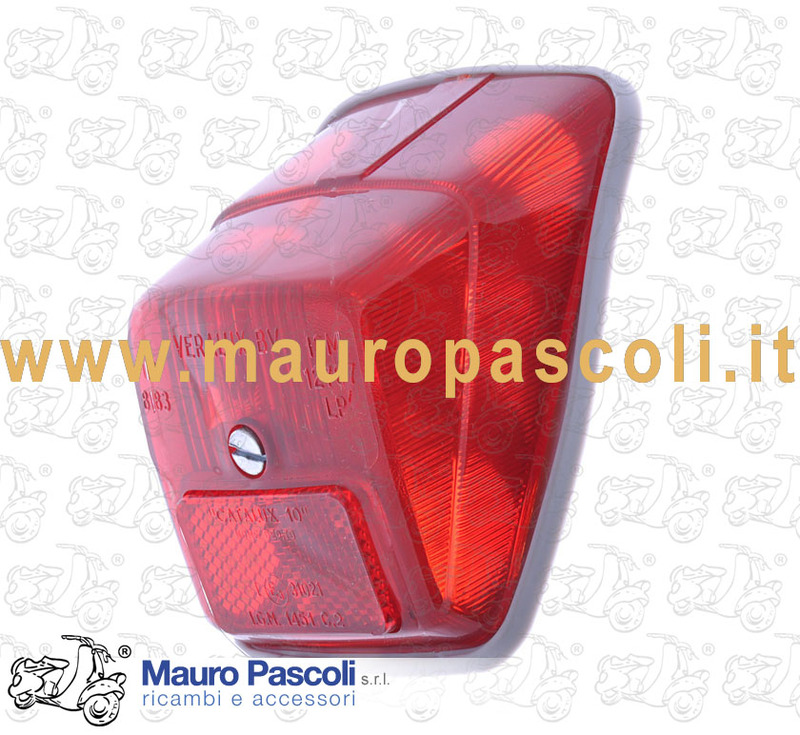 VESPA :50 N-V5A1T >49125 . 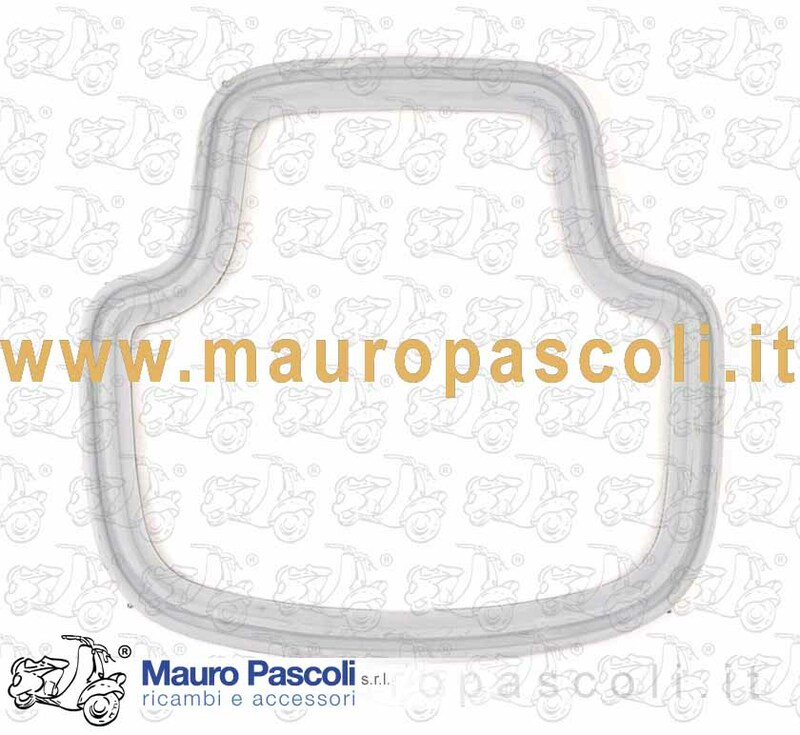 VESPA : 50 SUPER SPRINT-V5SS1T - 90-V9A1T >141543 - 90 SUPER SPRINT - V9SS1T- 125 NUOVA LINEA -VMA1T 125 PRIMAVERA -VMA2T >140161. 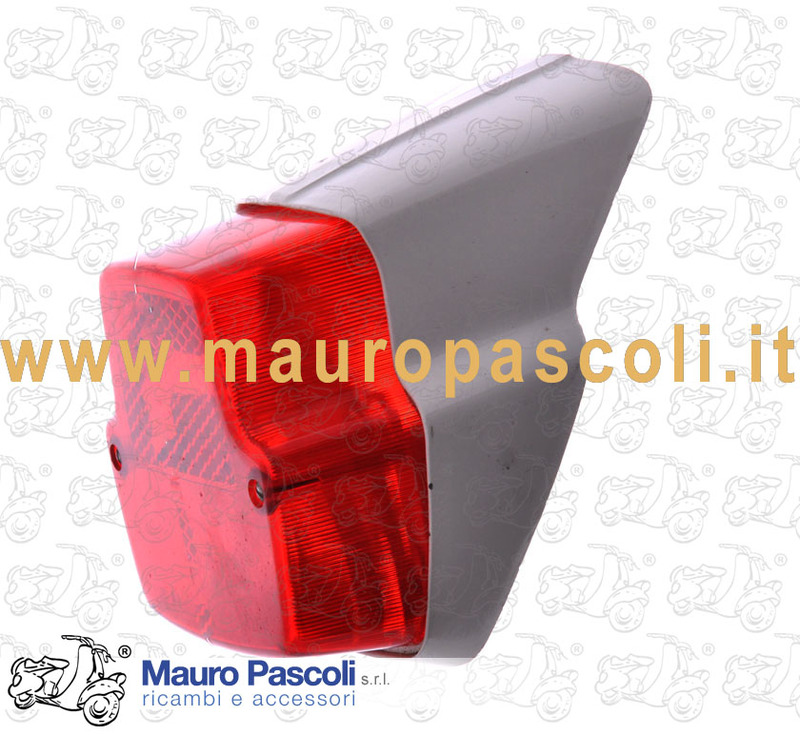 VESPA : 50 R - V5A1T 828604> . 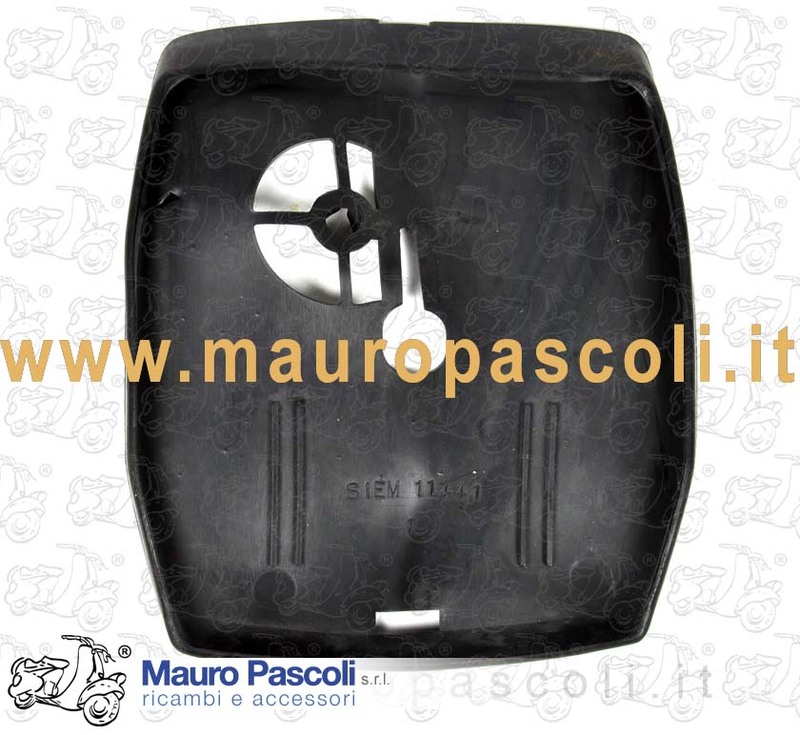 VESPA 50 ELESTART-V5A3T-V5B2T-V5B4T- 50 SPECIAL-V5A2T-V5B1T- V5B3T.